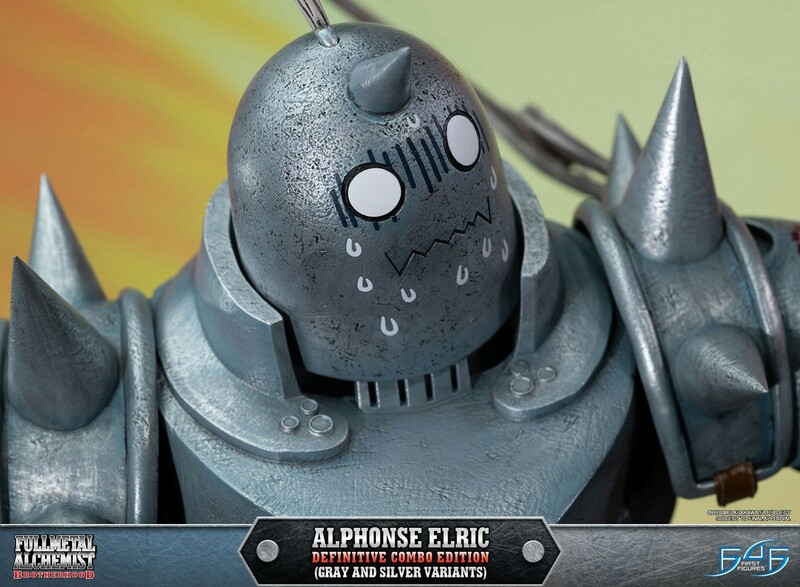 3 months x $281.00 + final balance ? 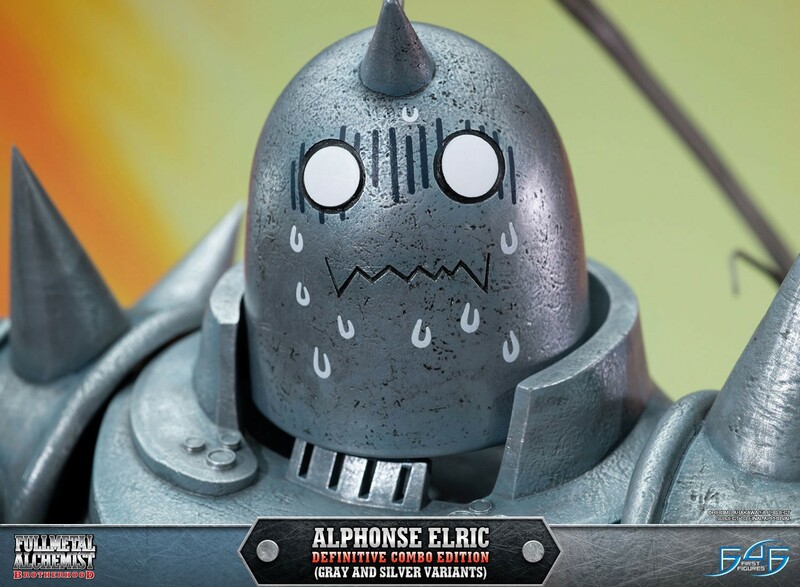 6 months x $161.00 + final balance ? 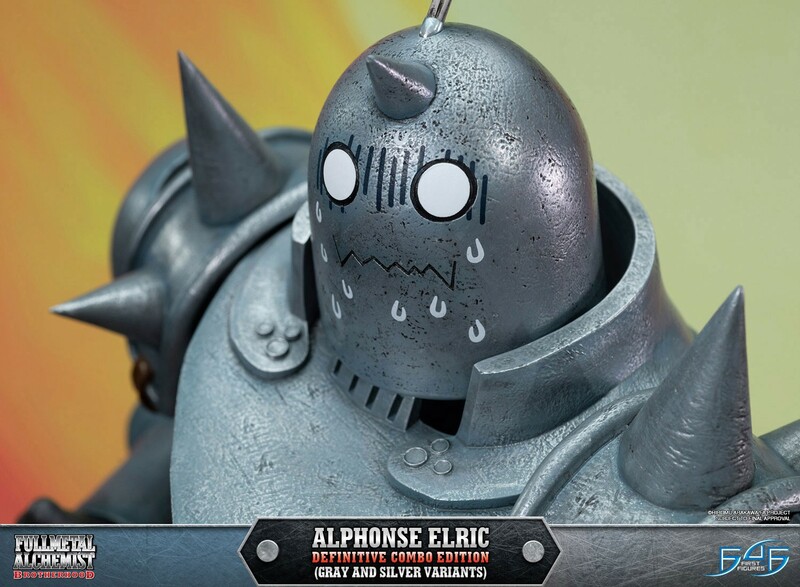 8 months x $125.00 + final balance ? 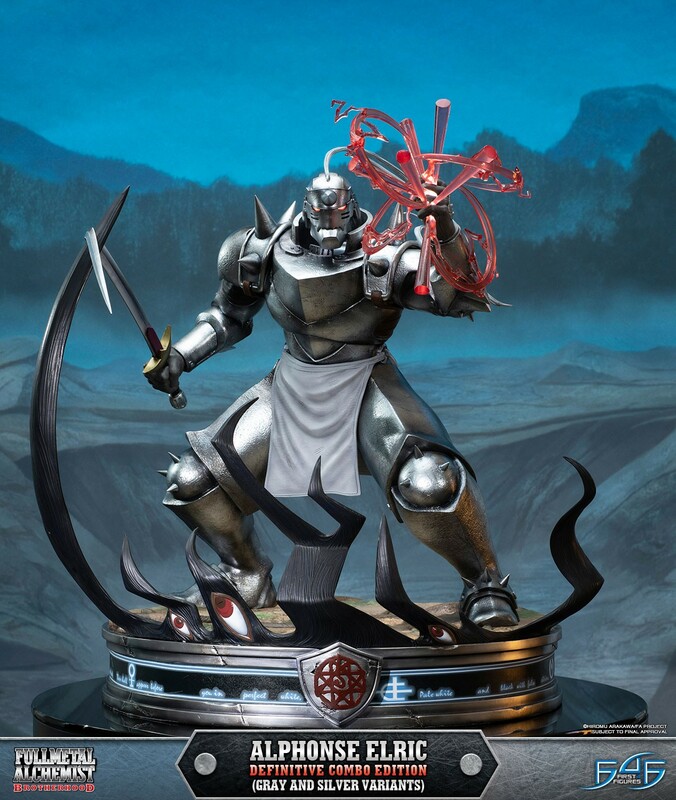 11 months x $94.00 + final balance ? 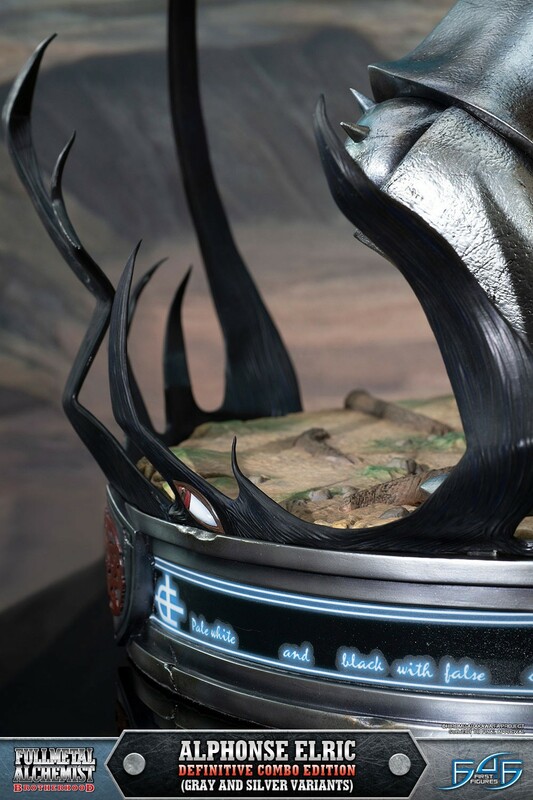 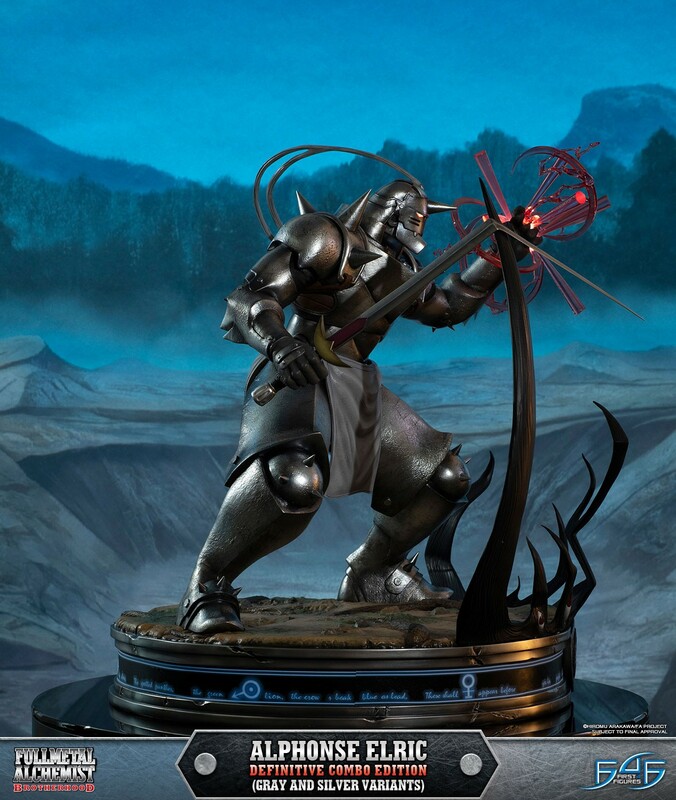 You will earn 6,250 F4F Reward Points for purchasing this product. 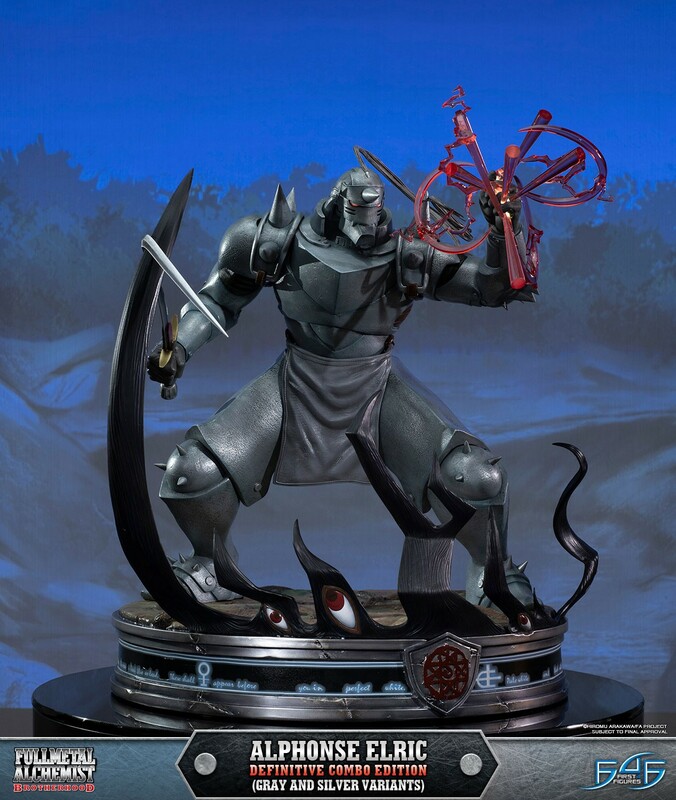 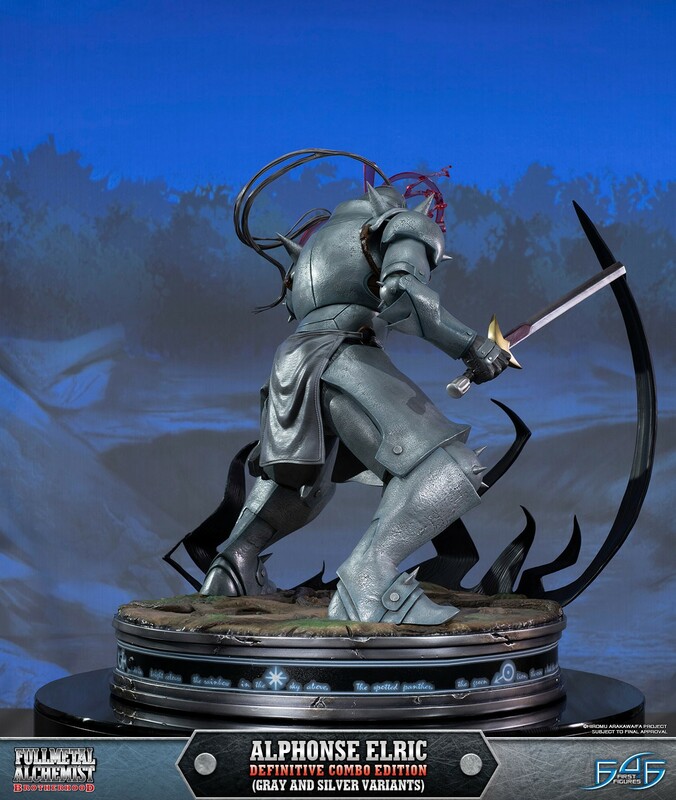 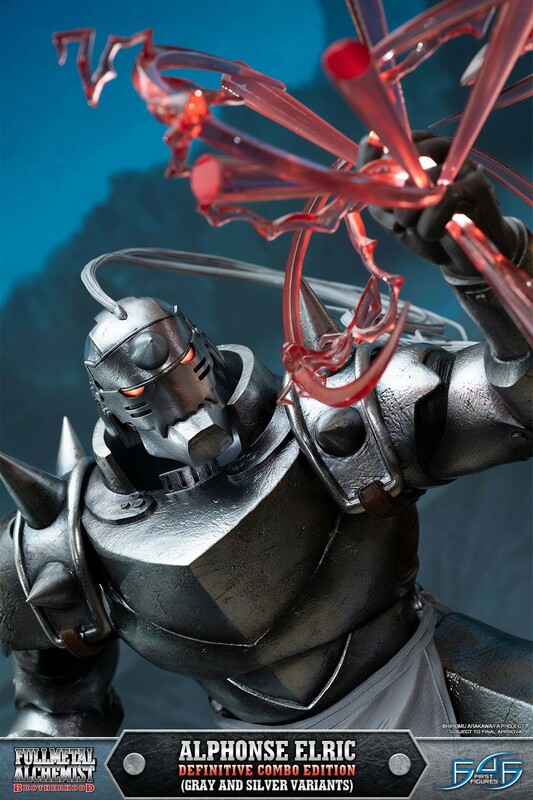 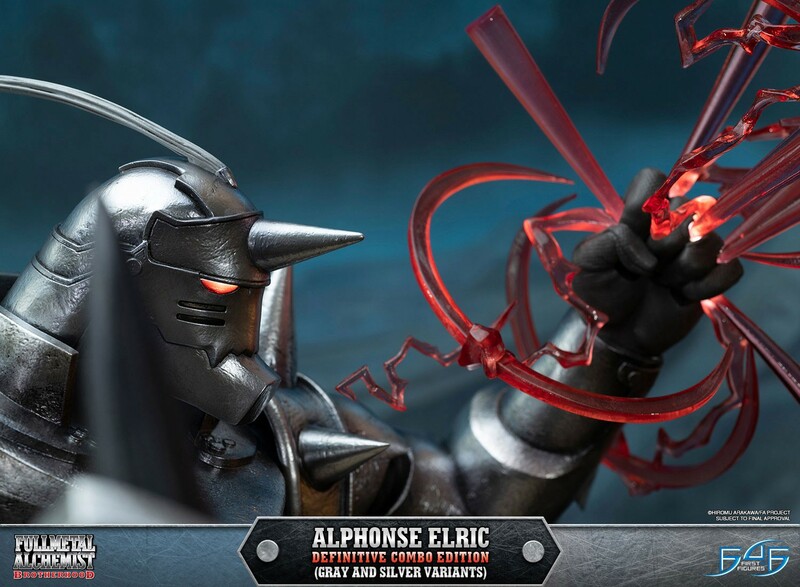 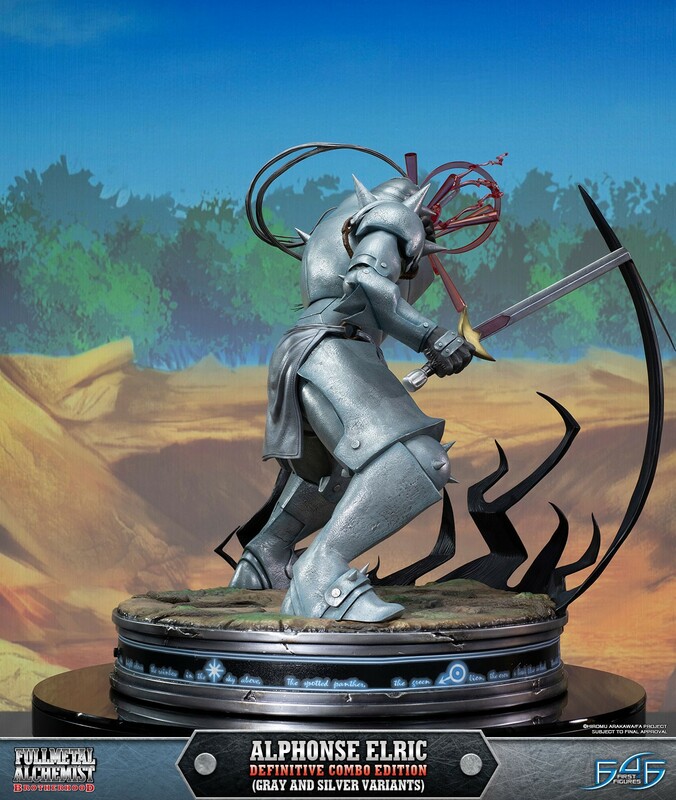 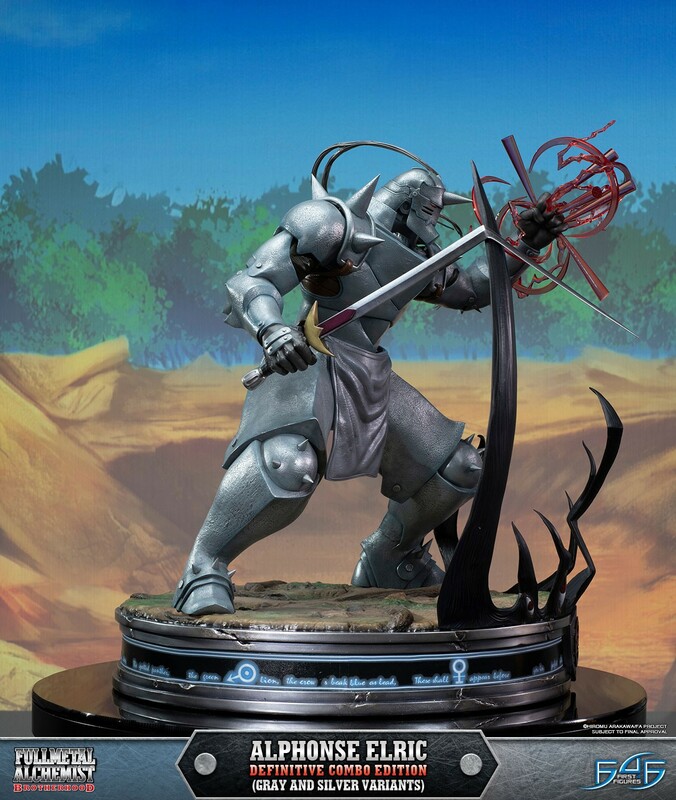 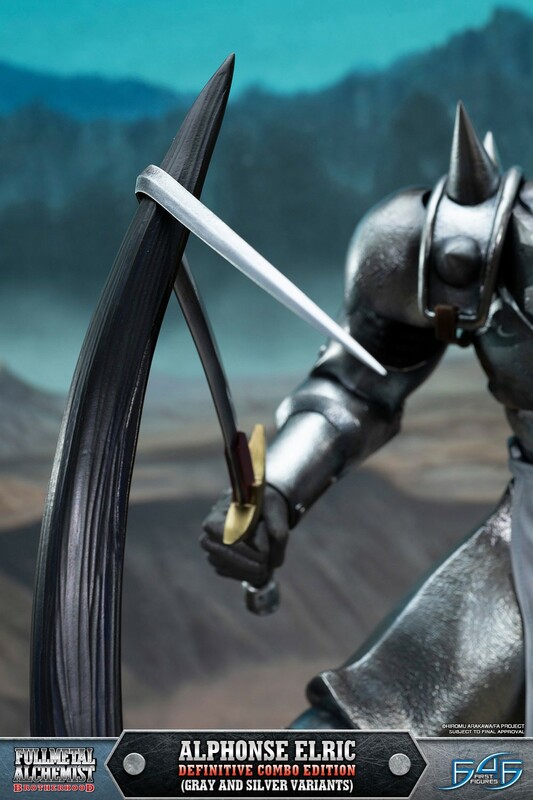 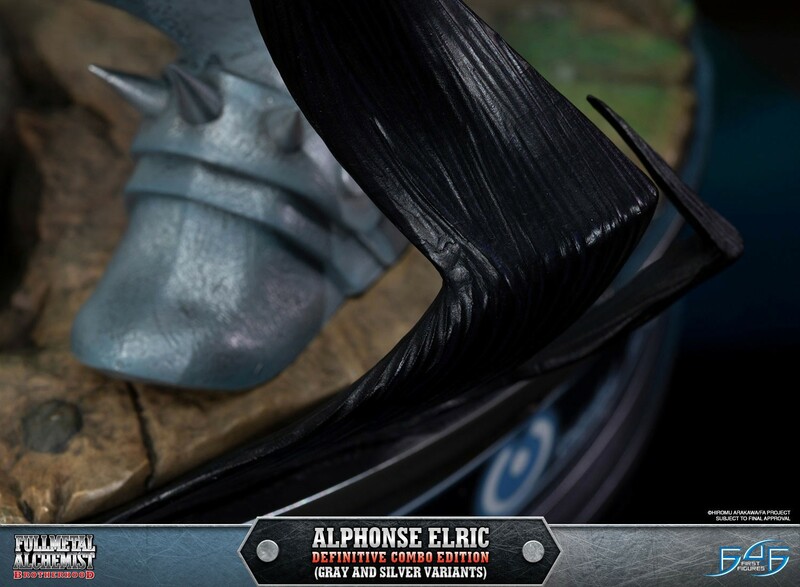 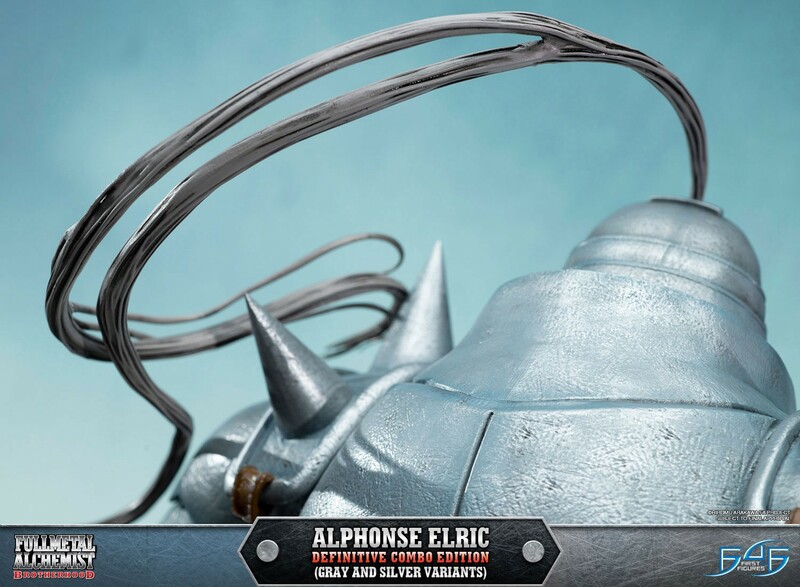 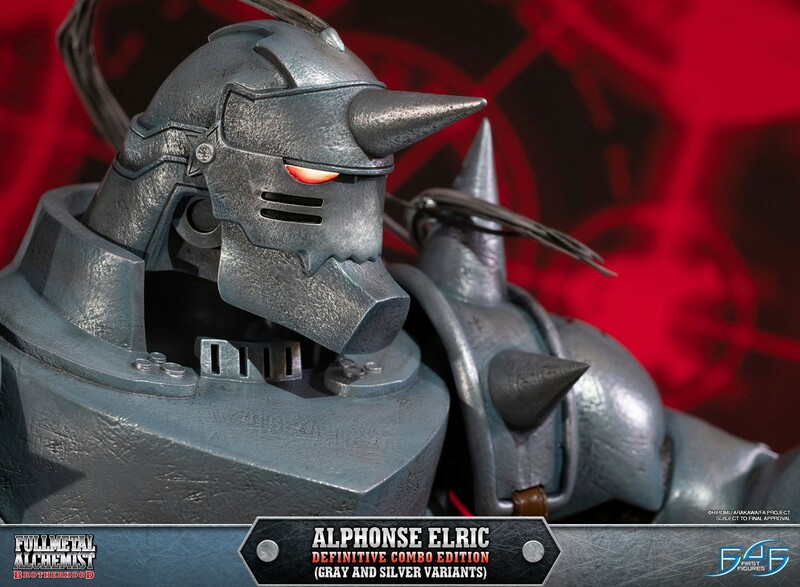 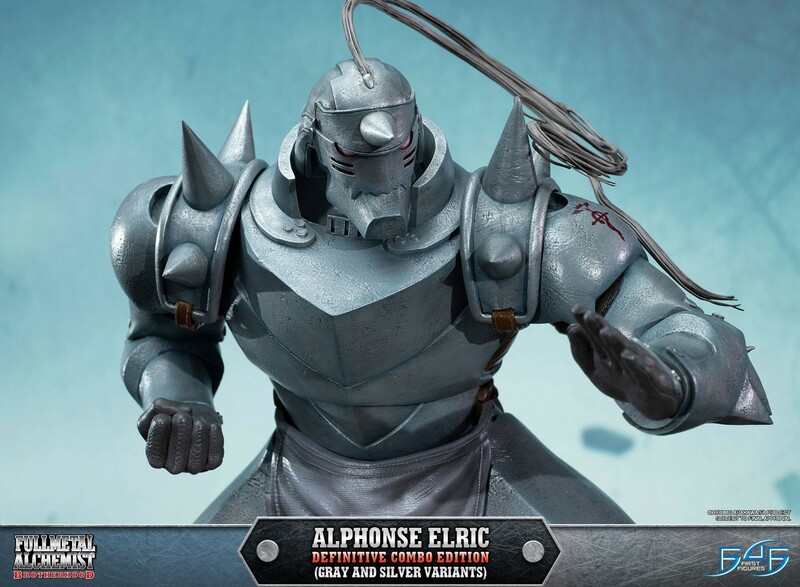 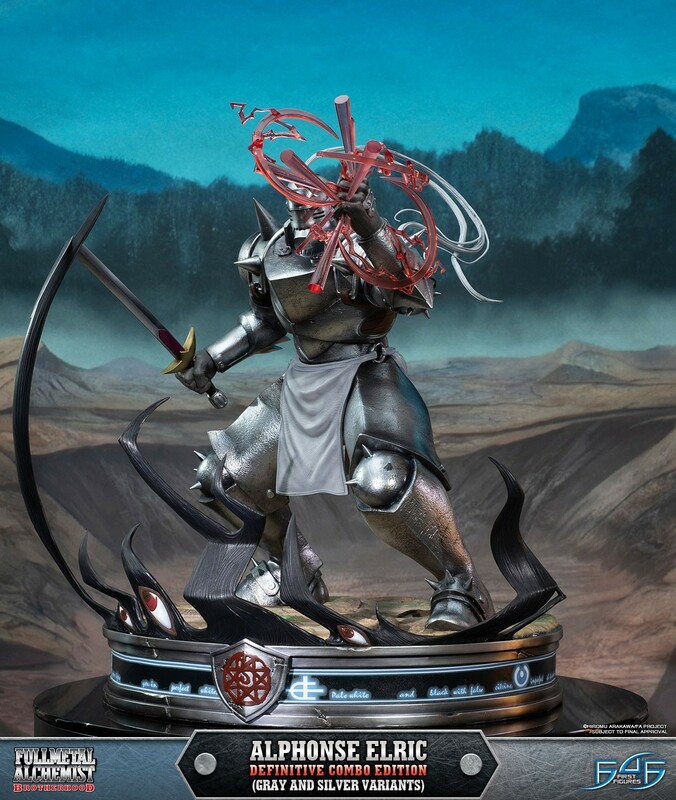 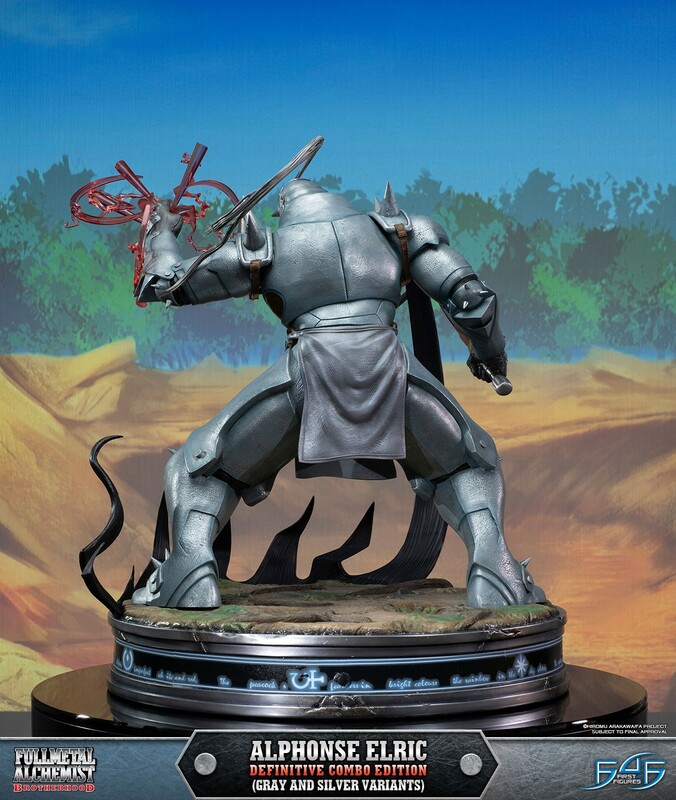 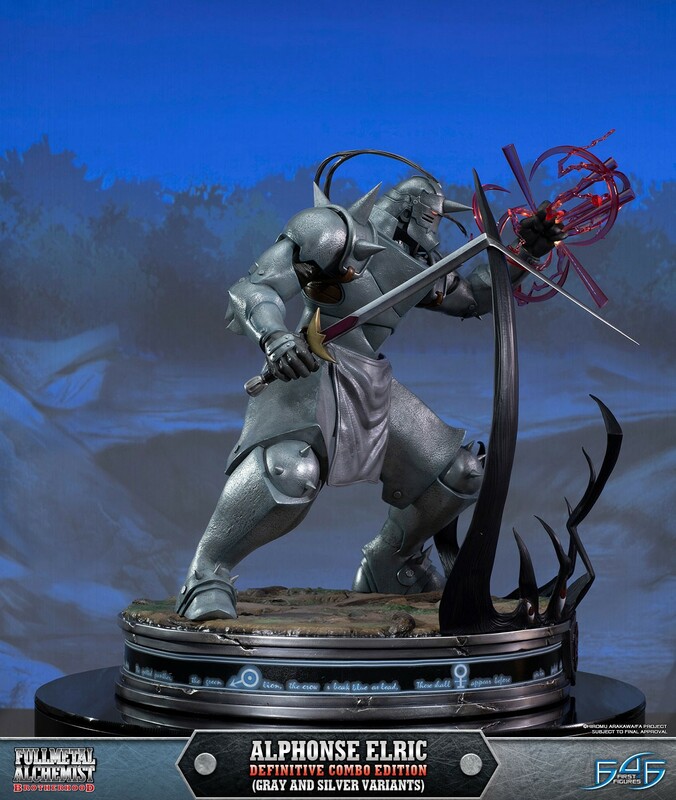 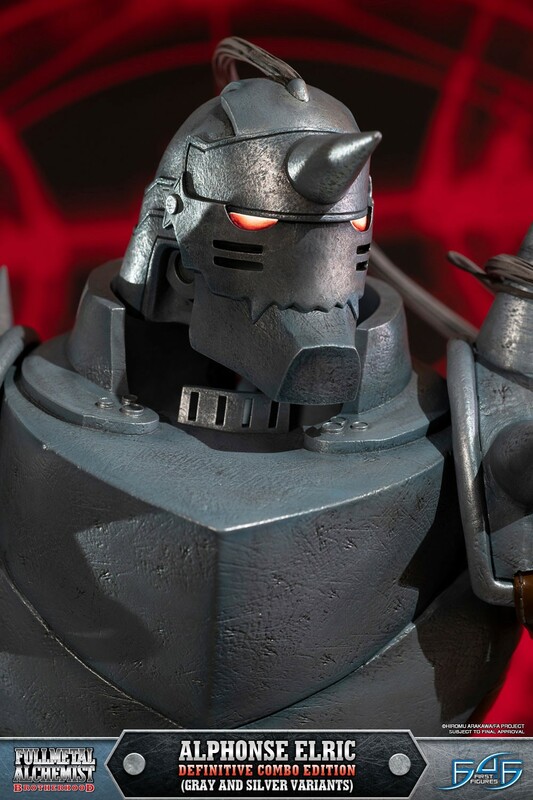 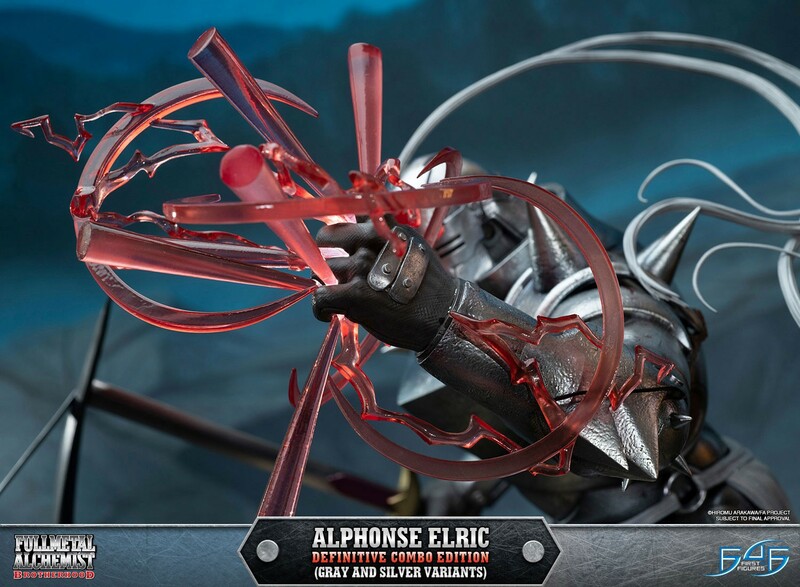 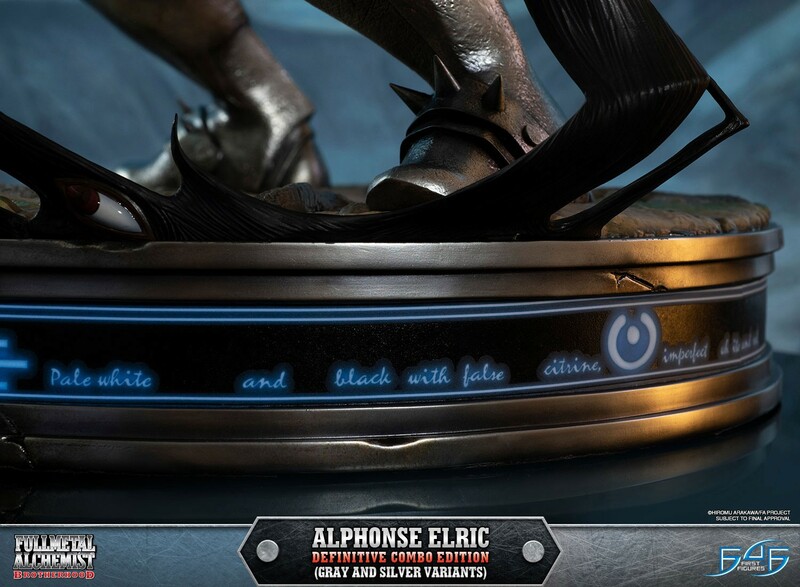 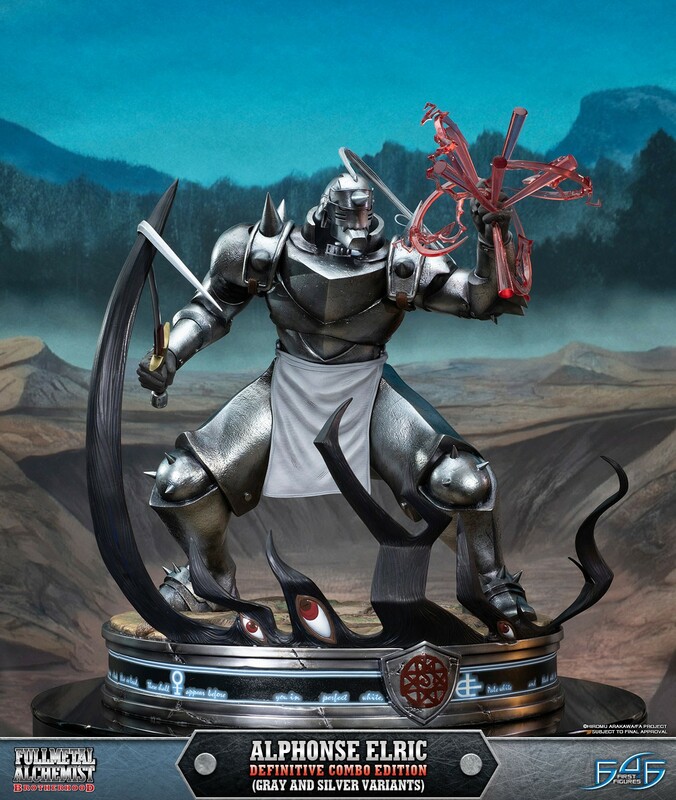 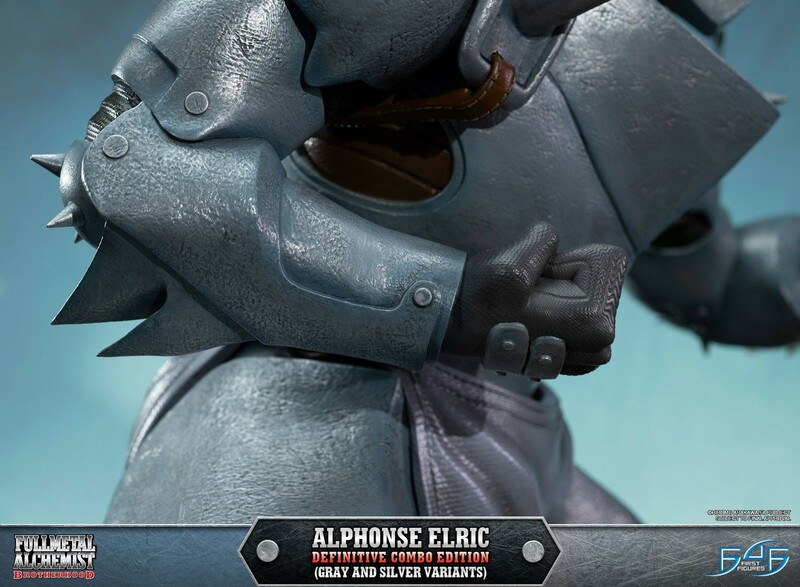 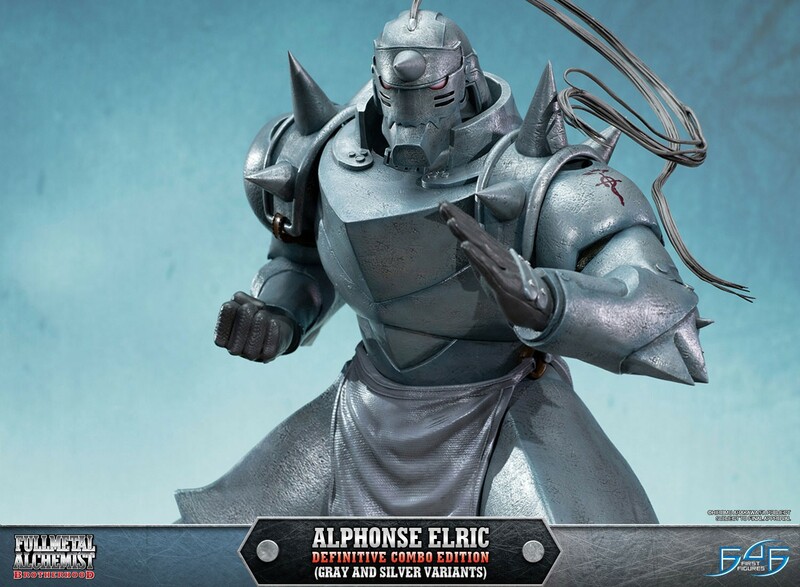 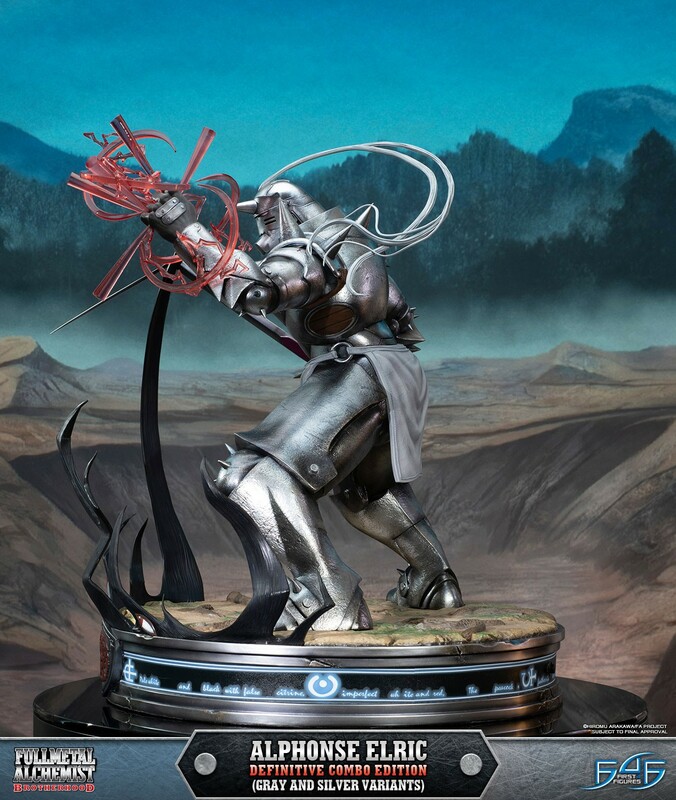 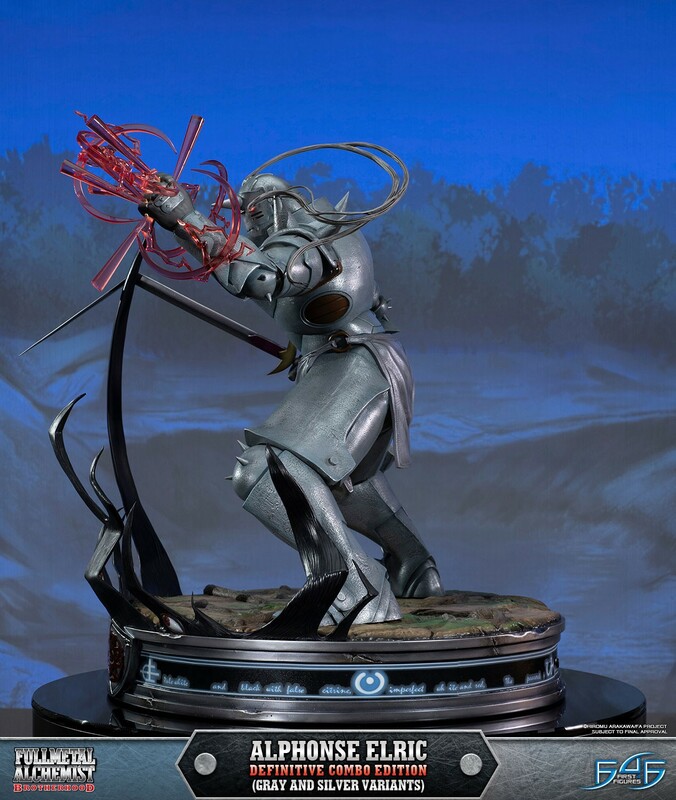 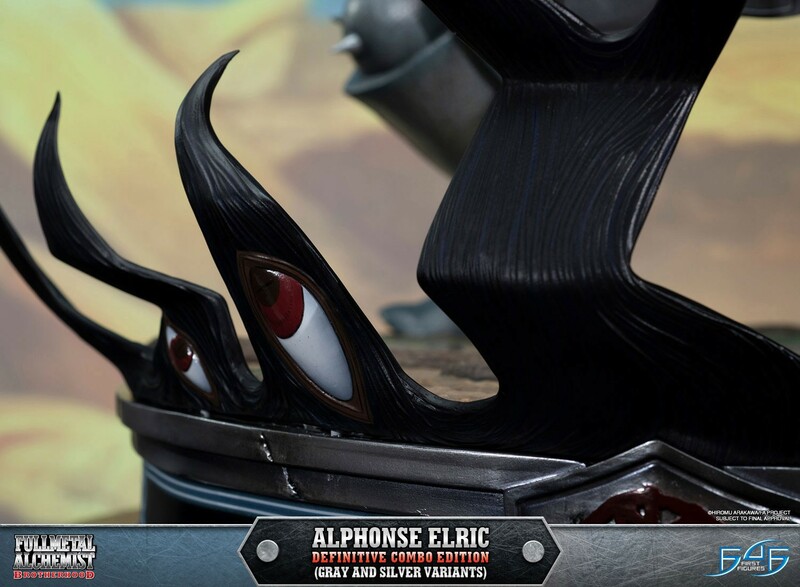 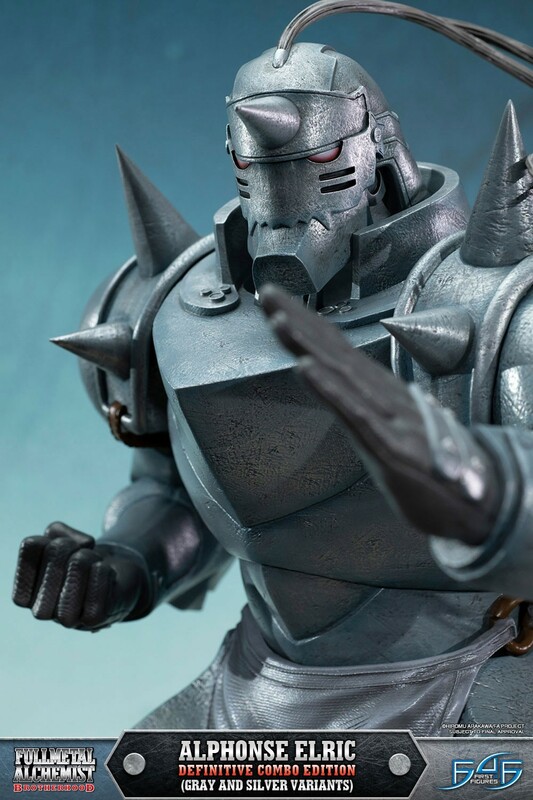 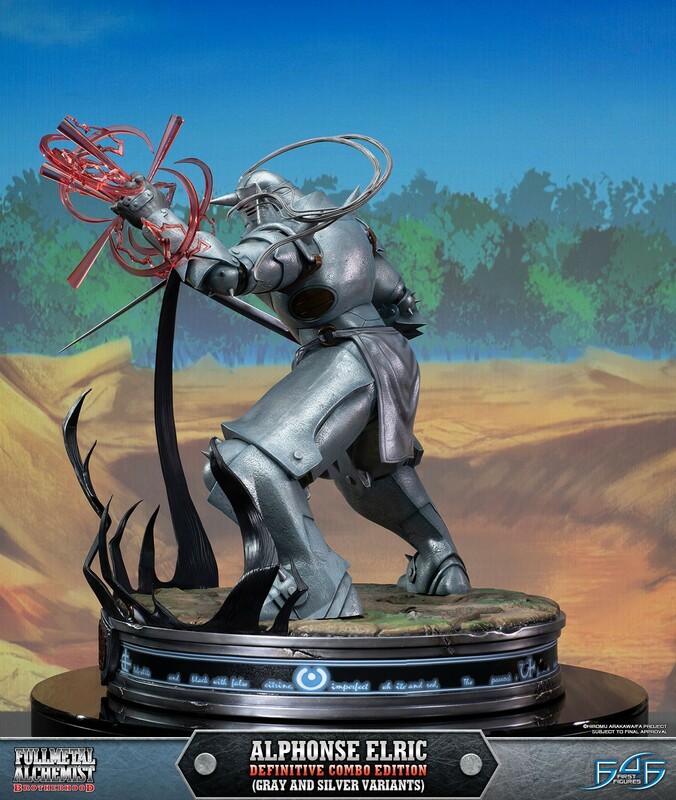 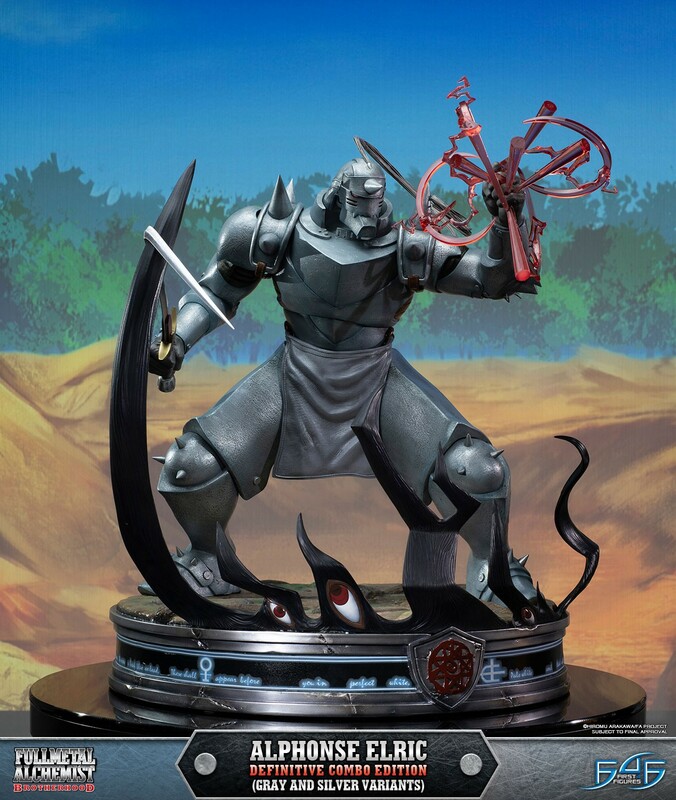 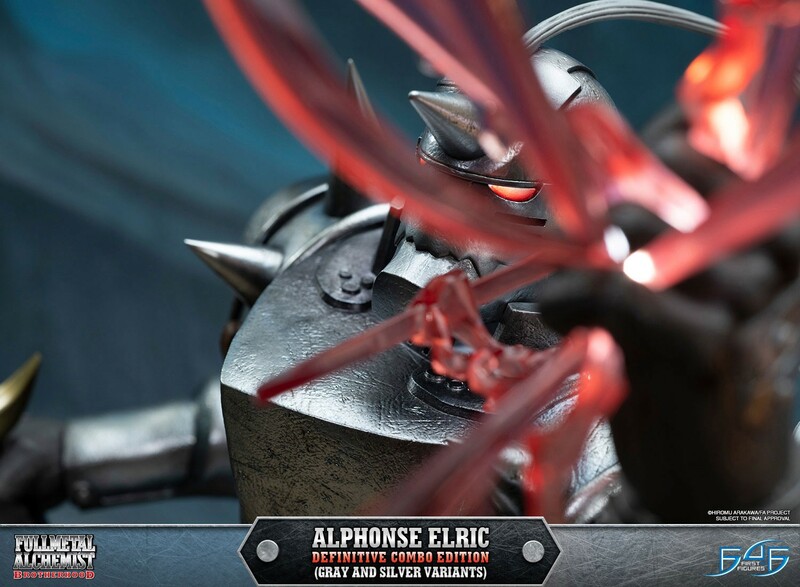 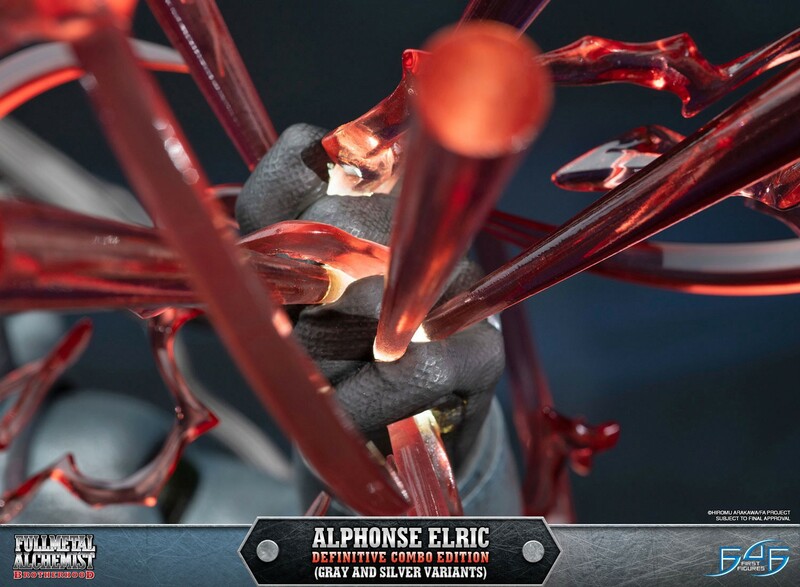 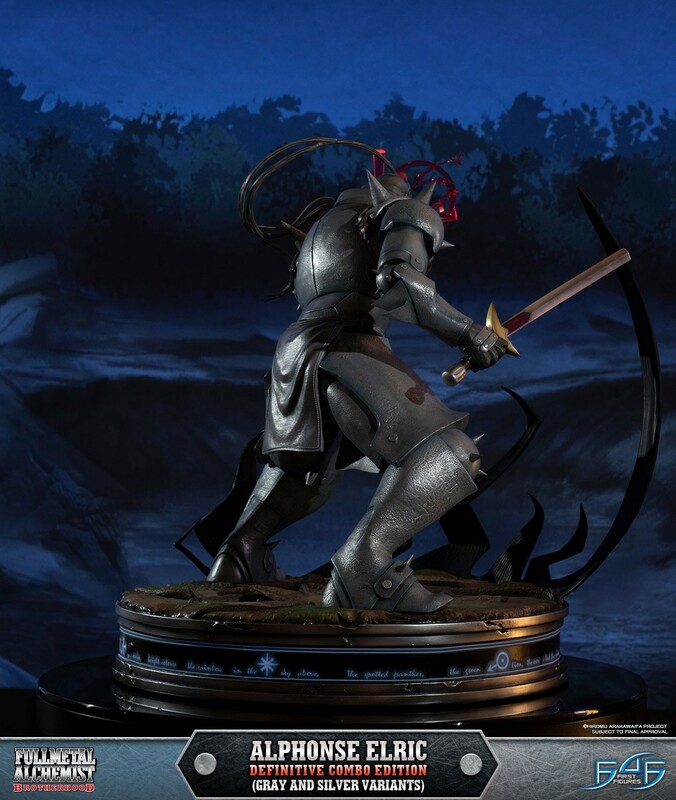 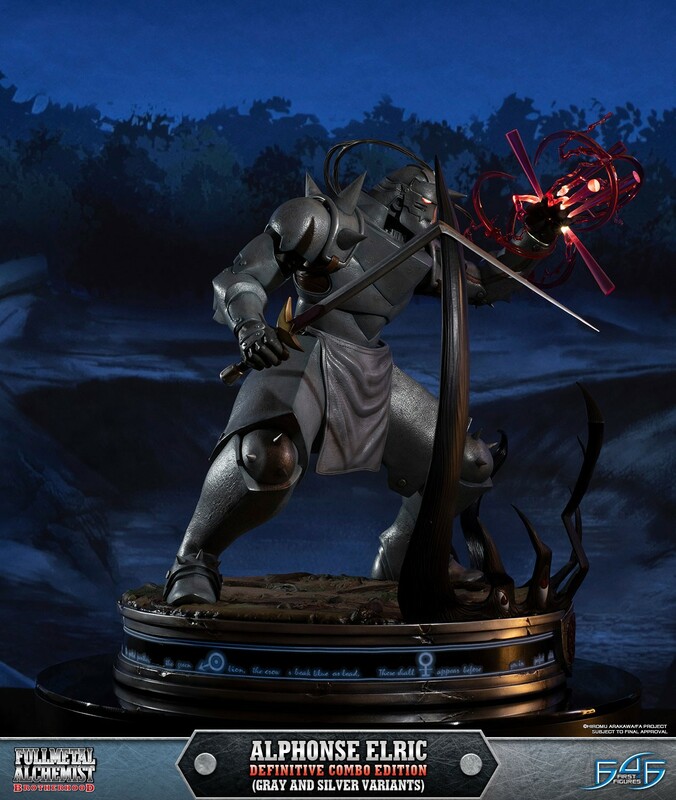 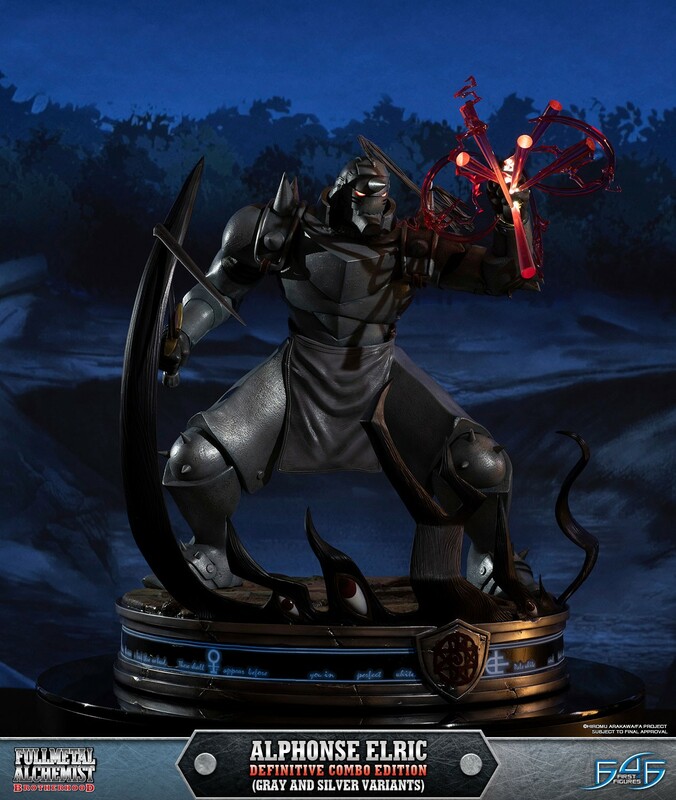 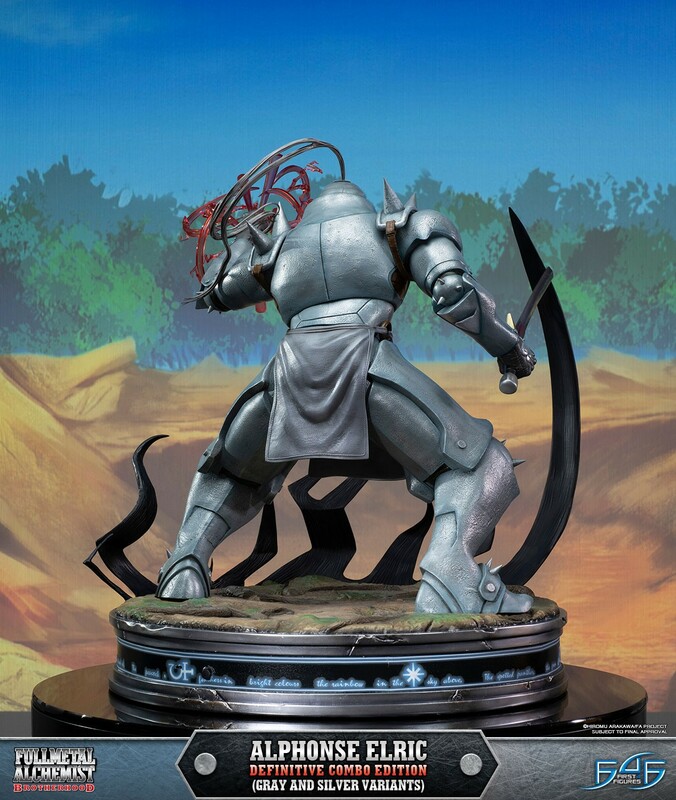 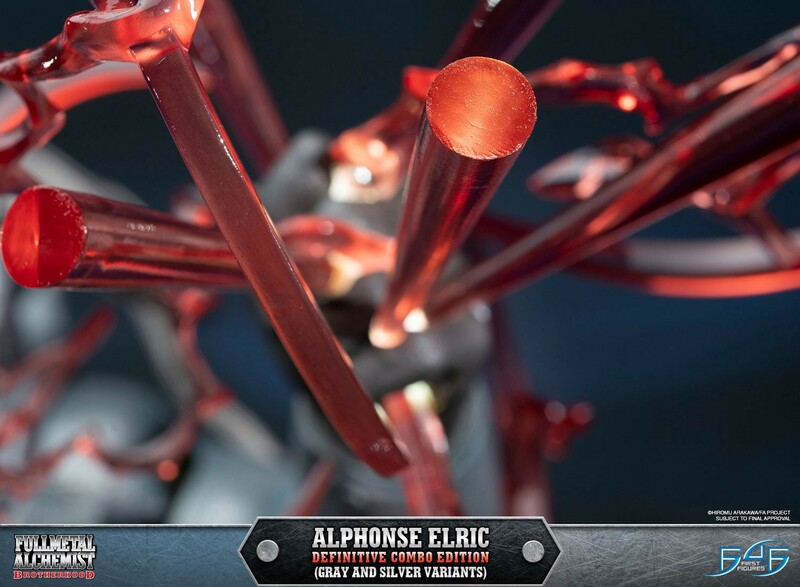 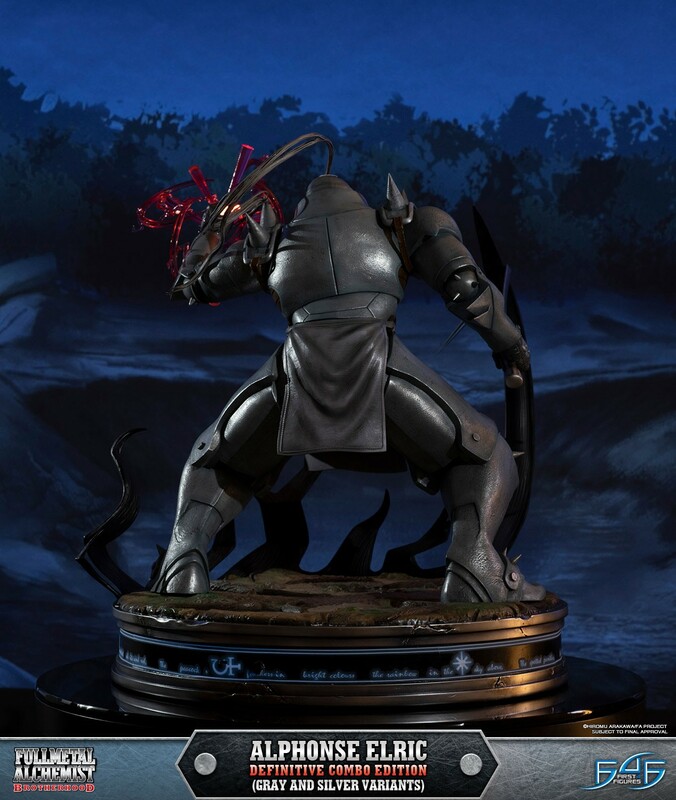 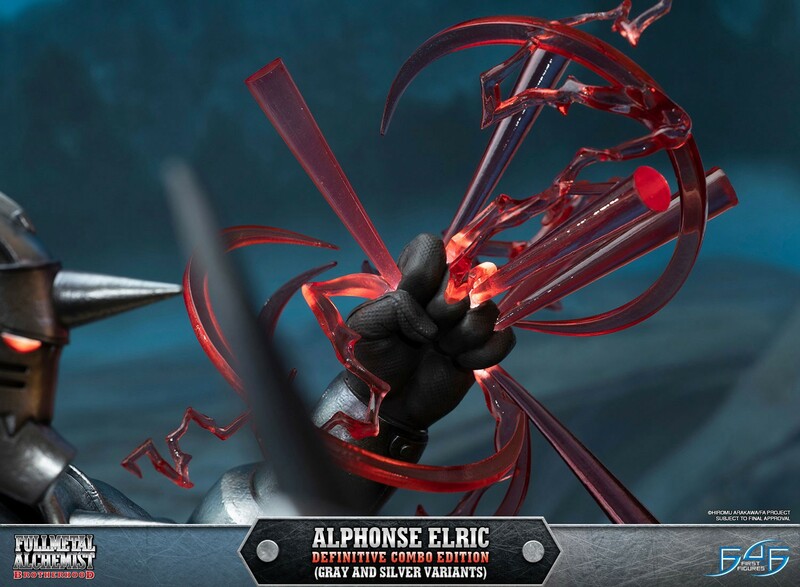 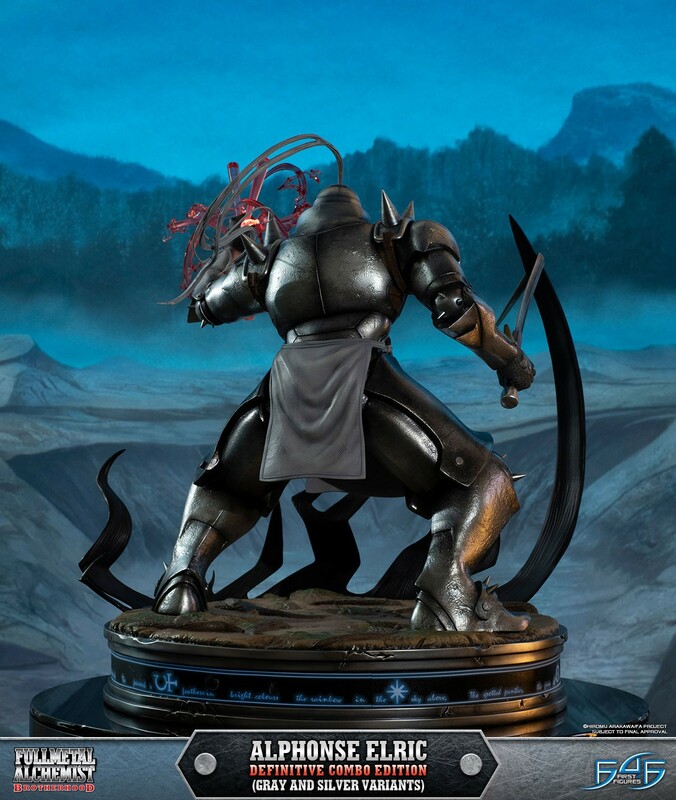 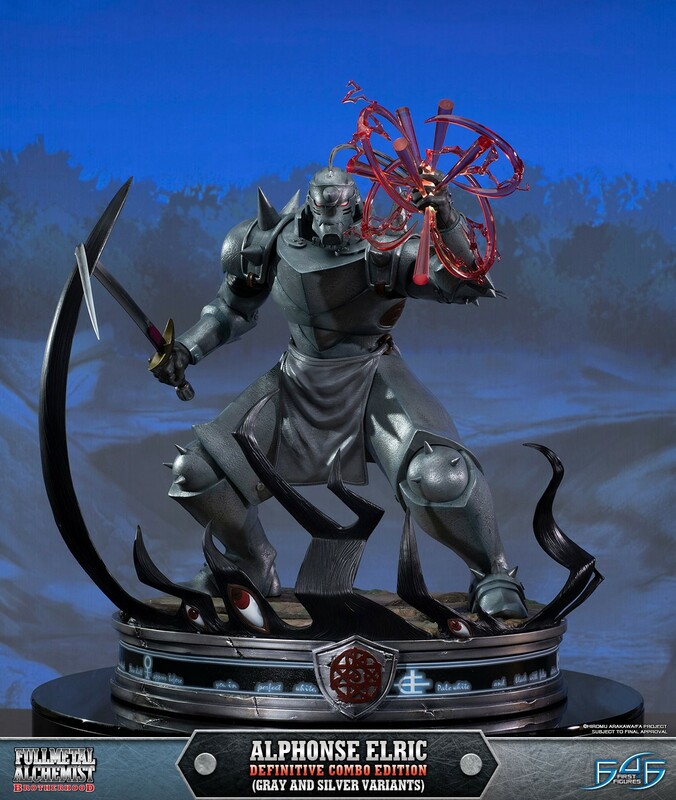 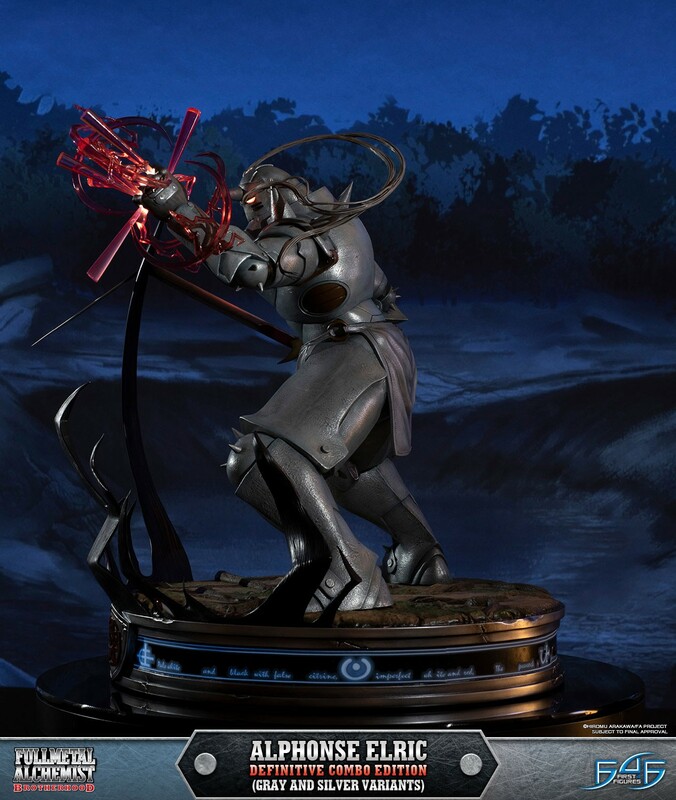 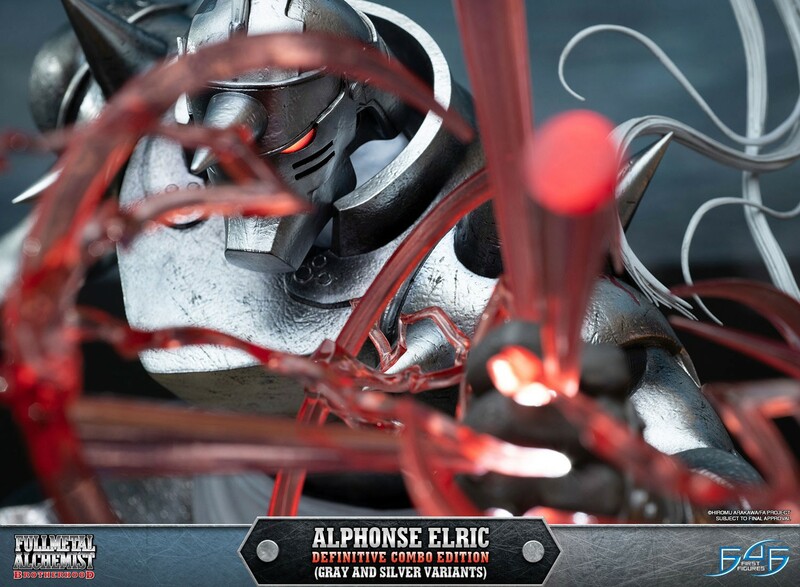 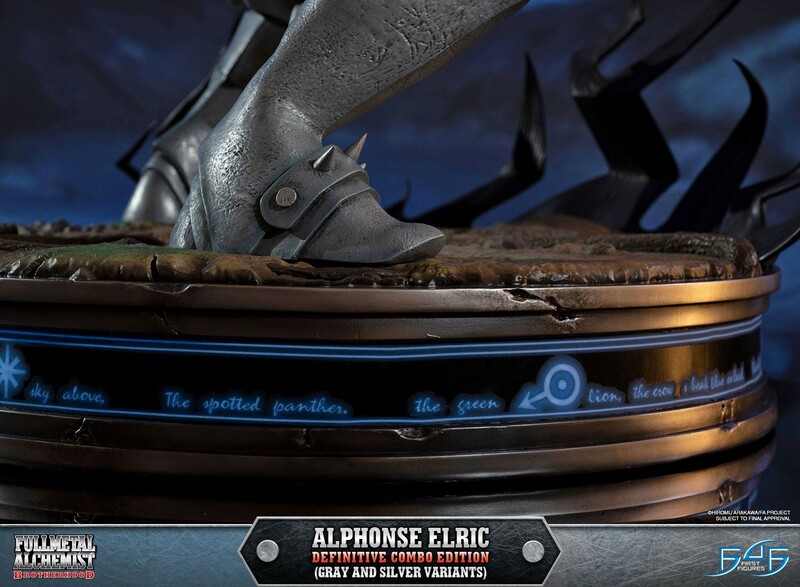 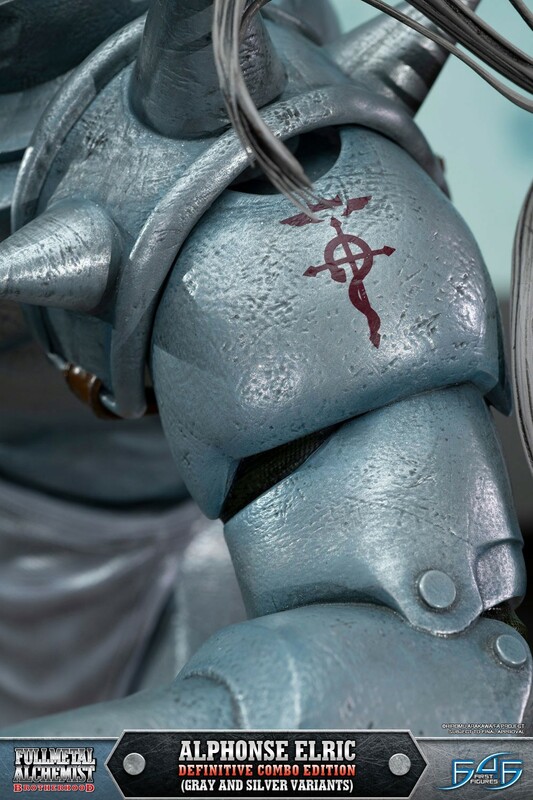 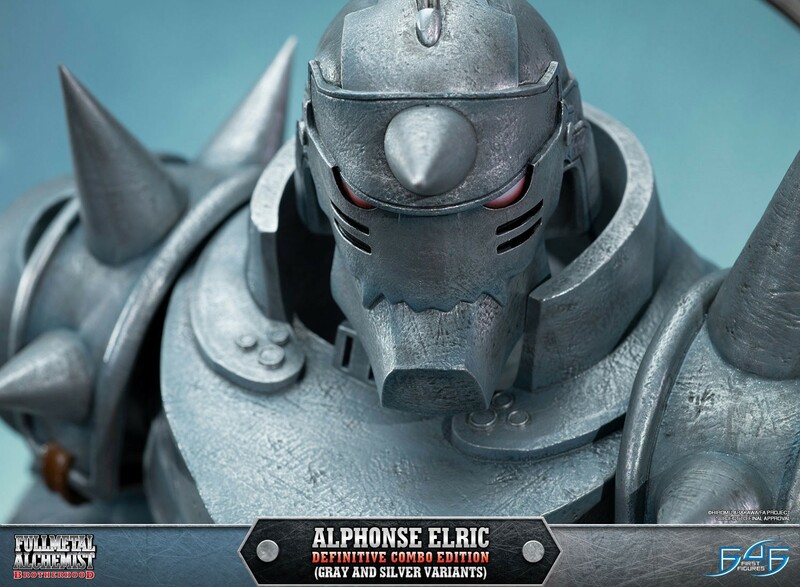 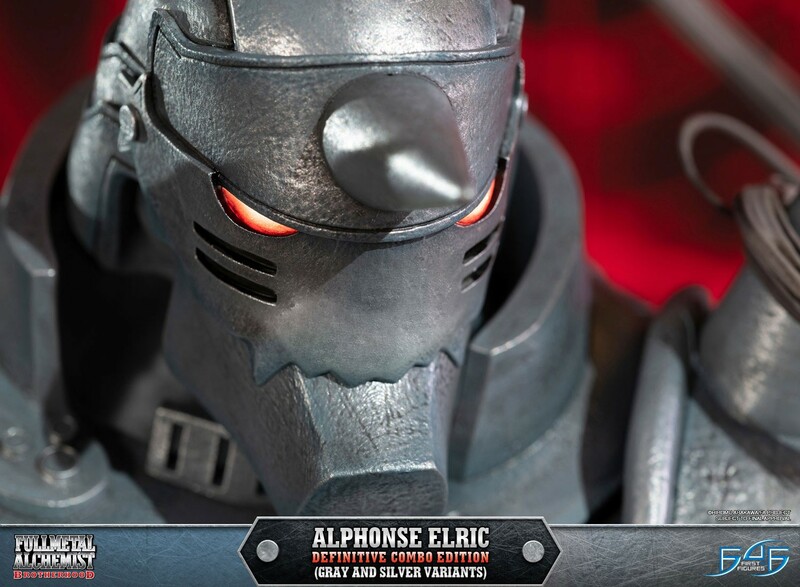 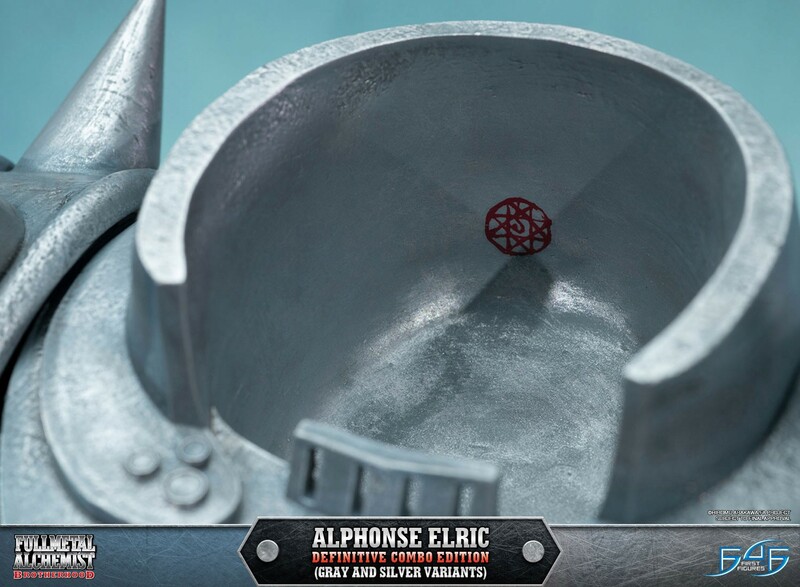 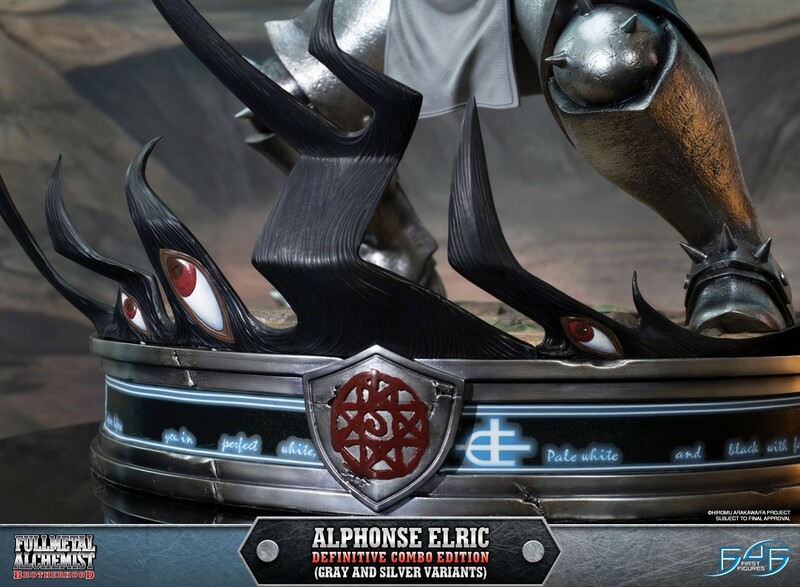 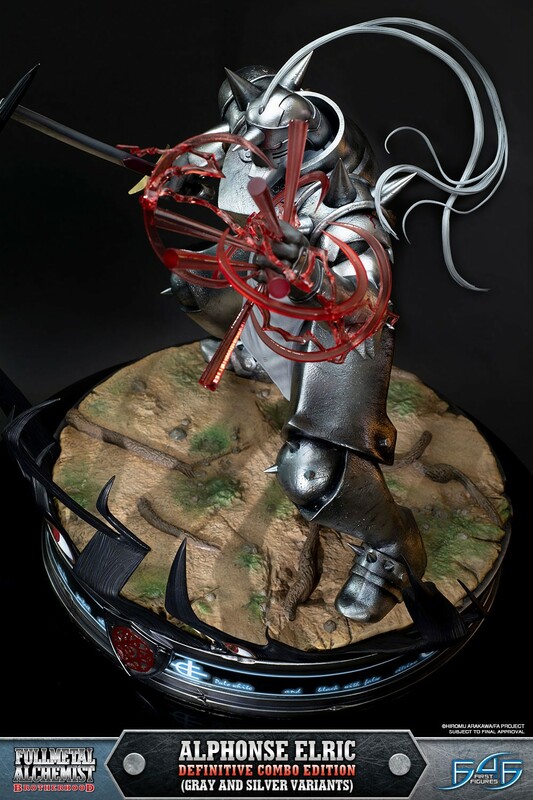 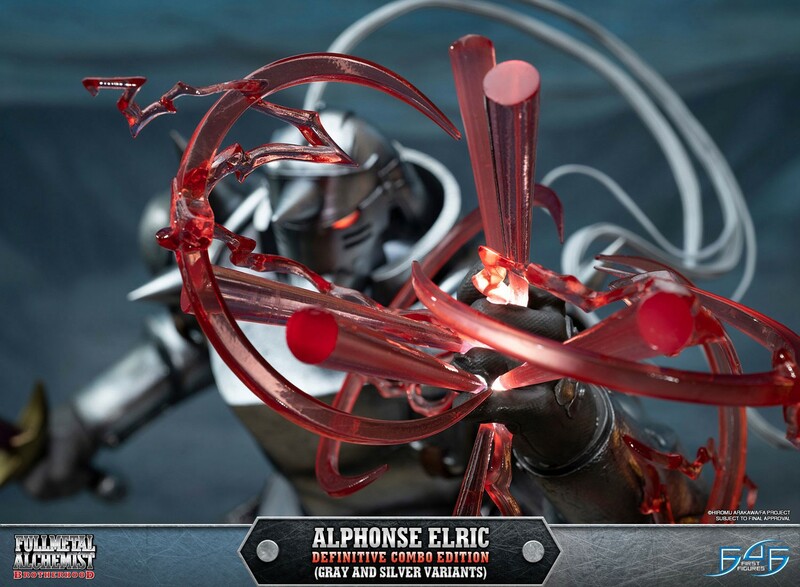 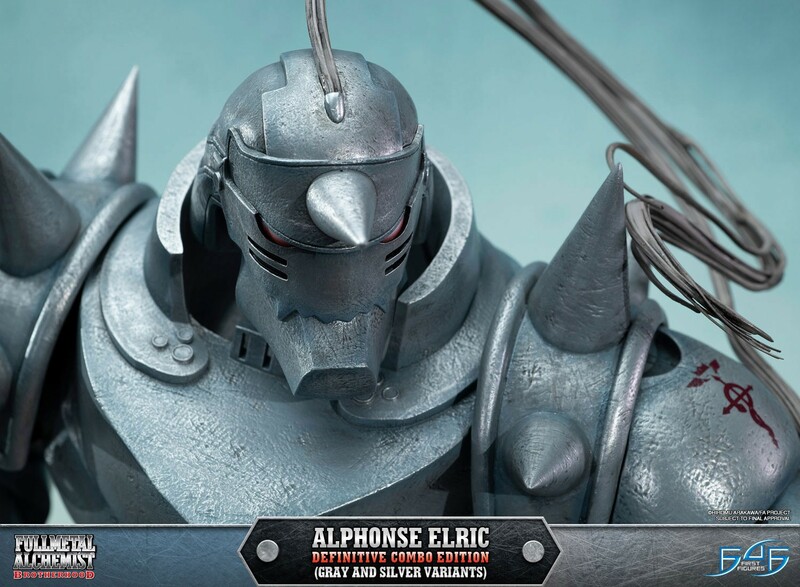 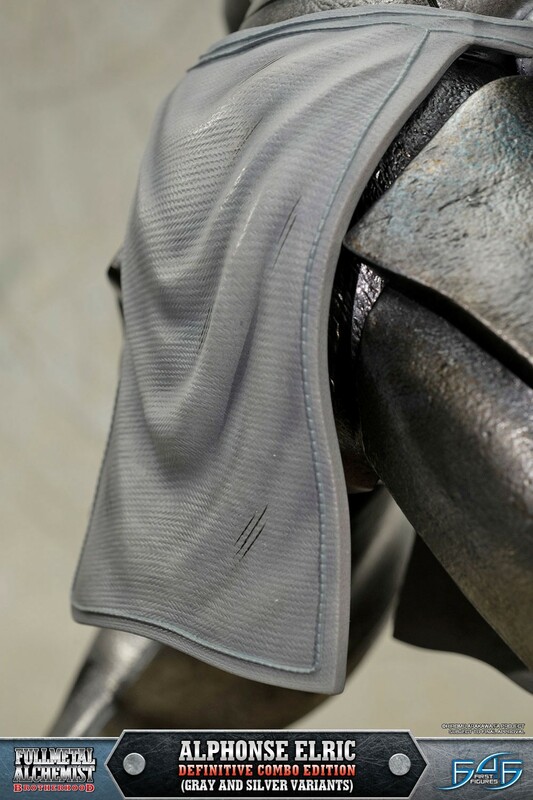 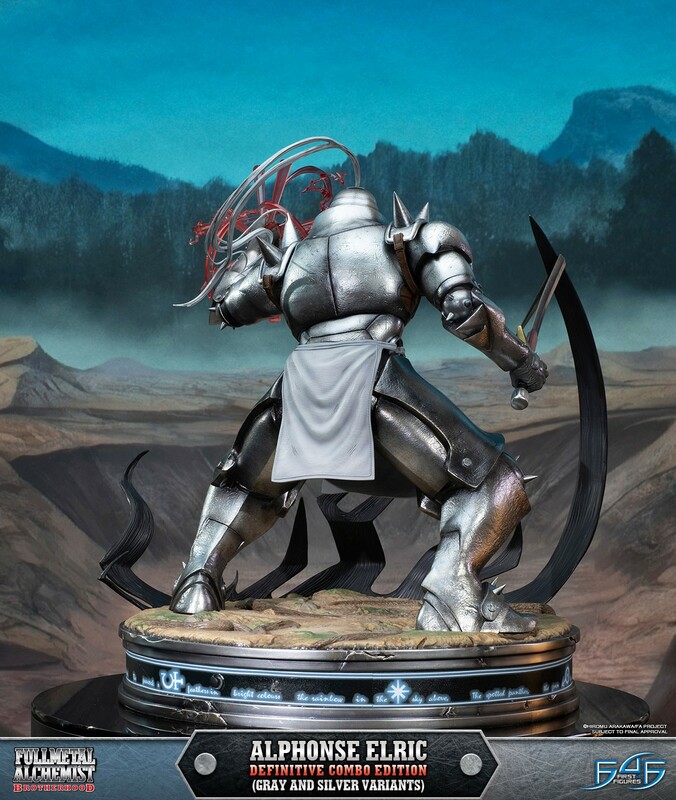 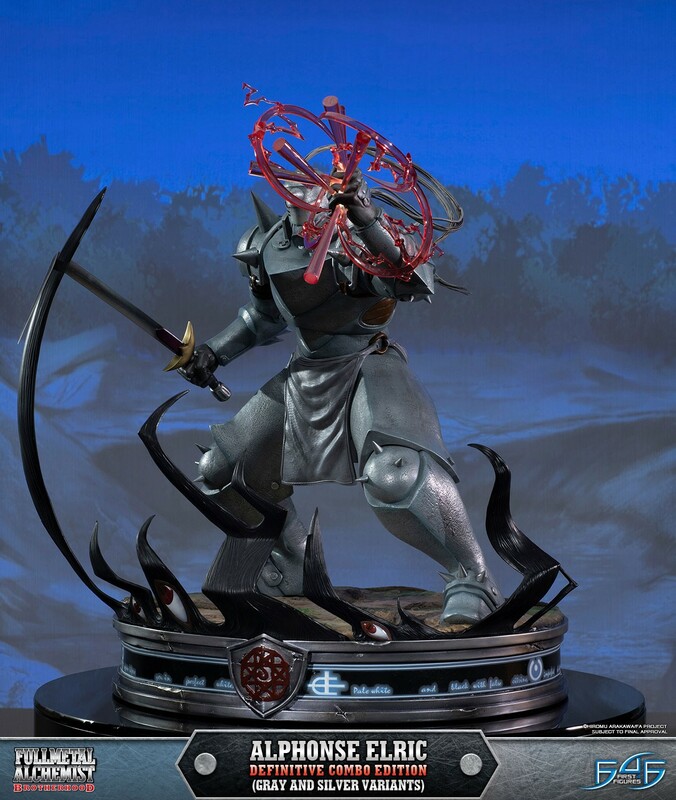 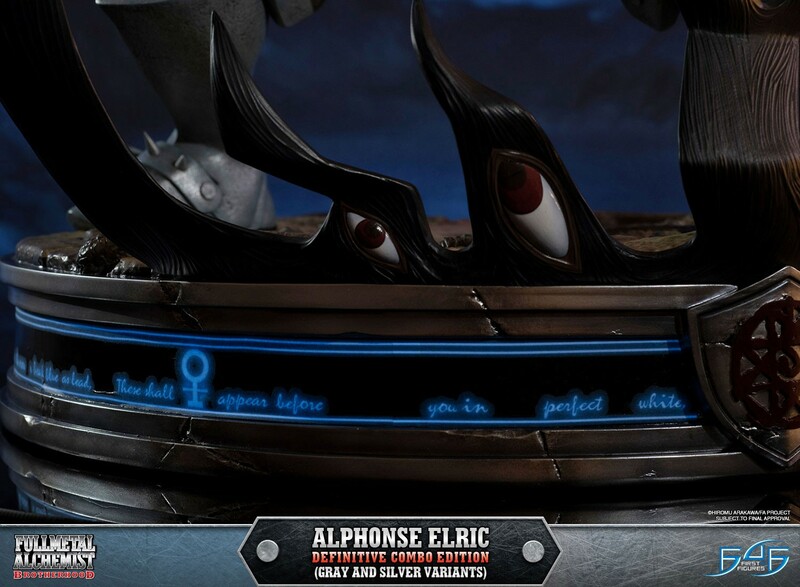 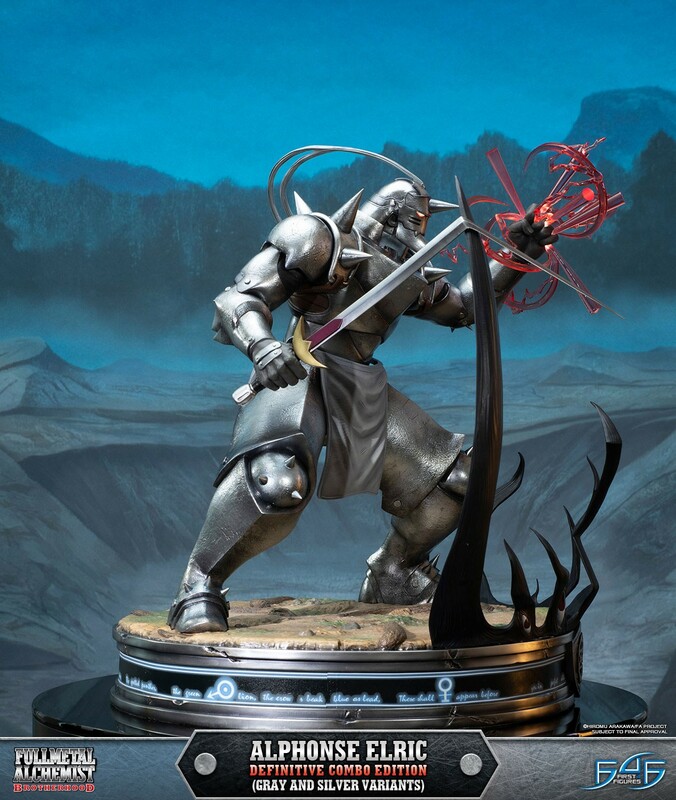 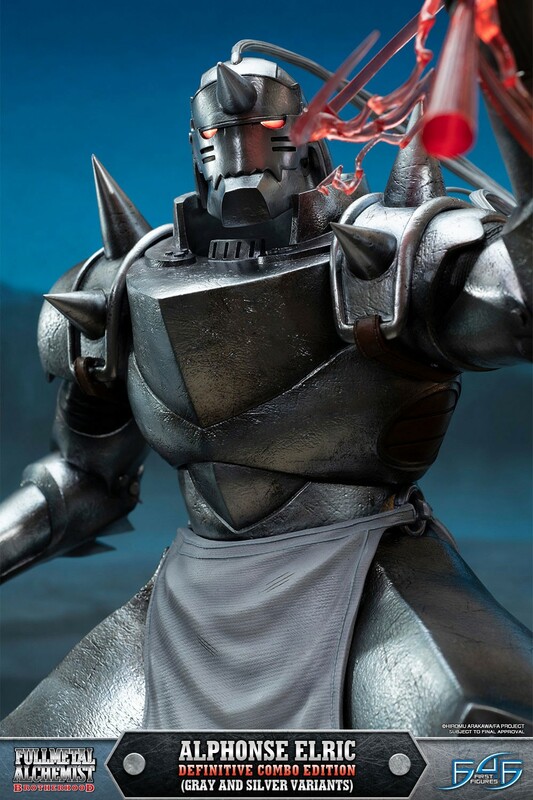 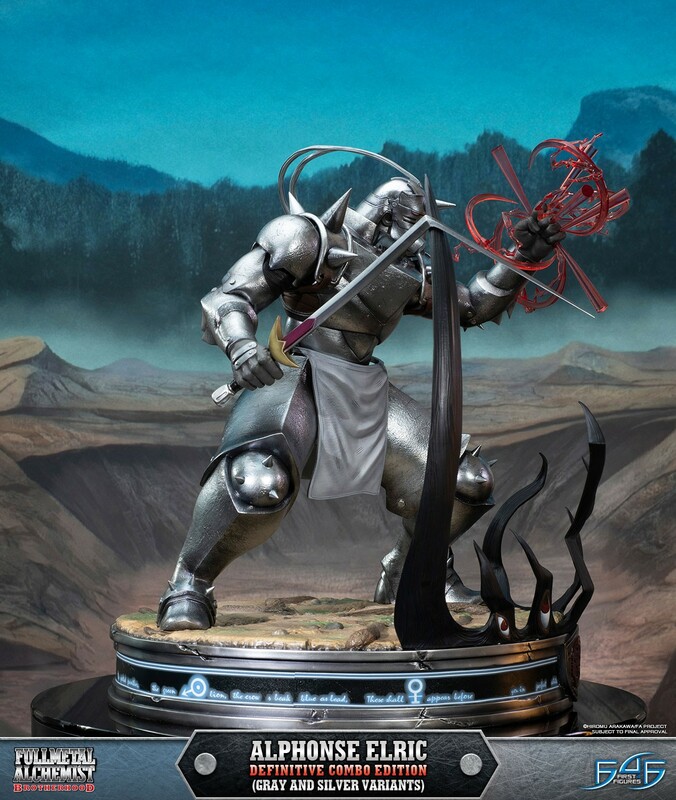 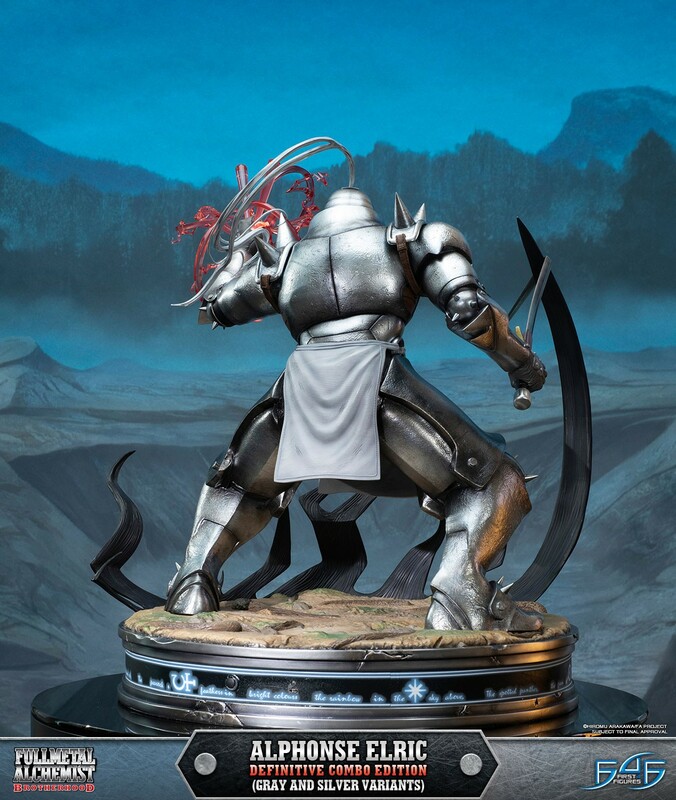 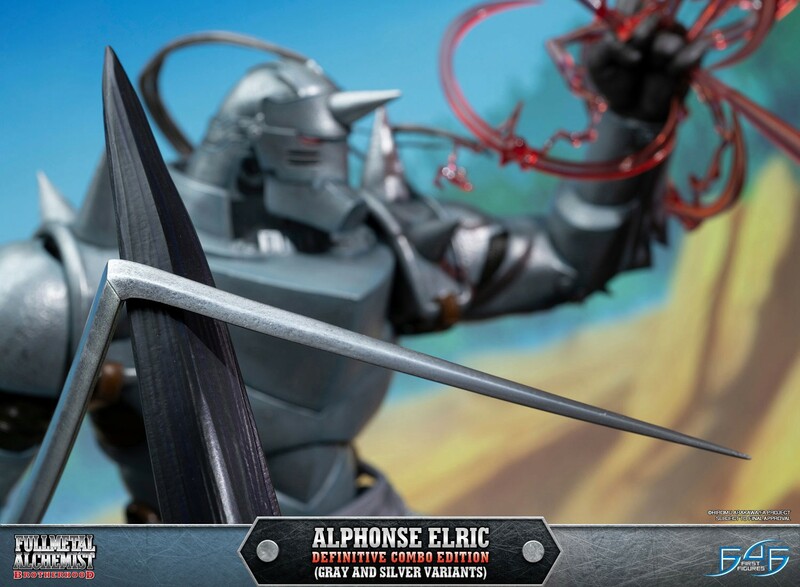 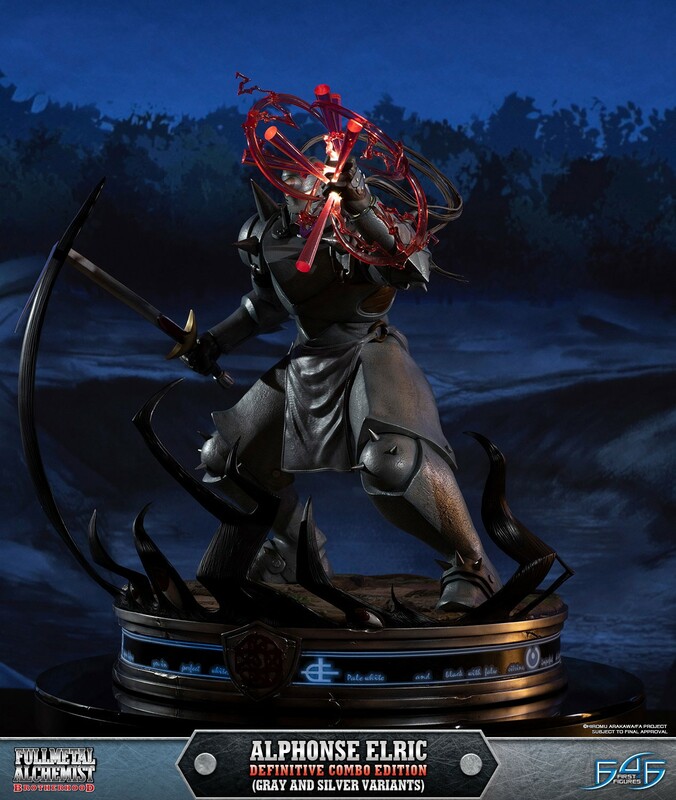 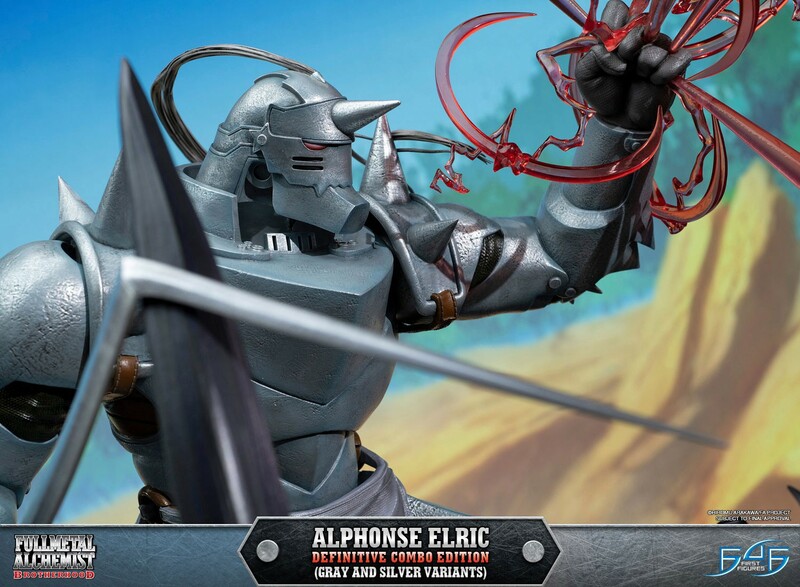 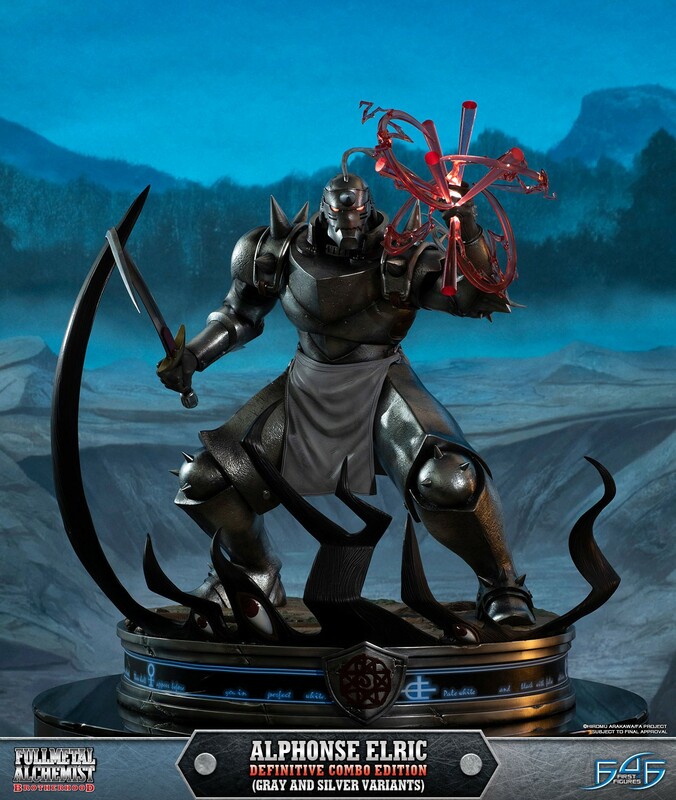 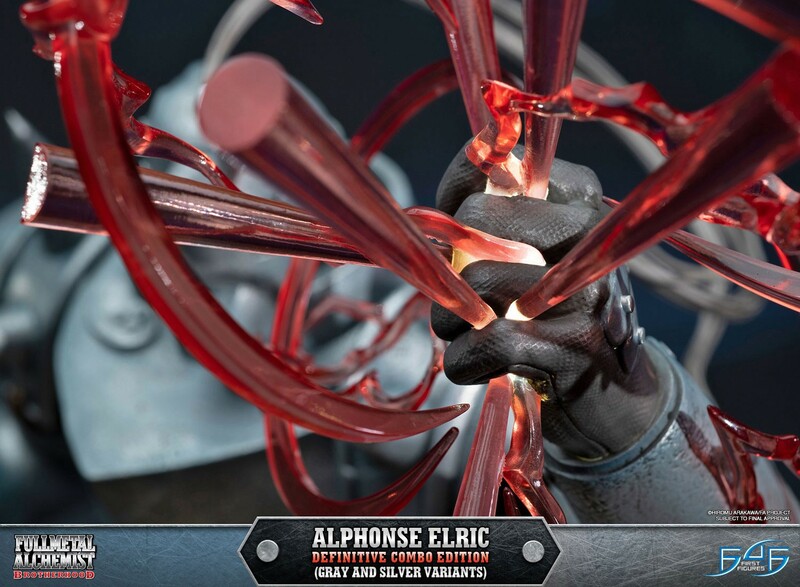 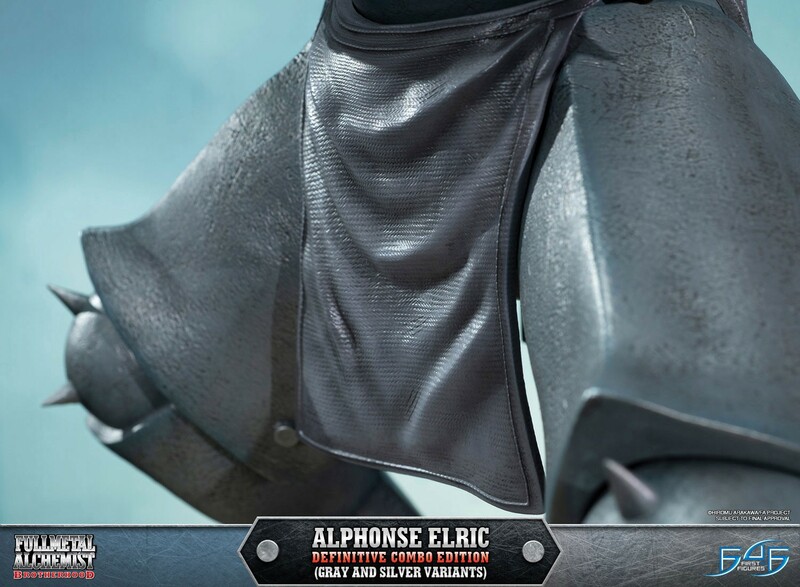 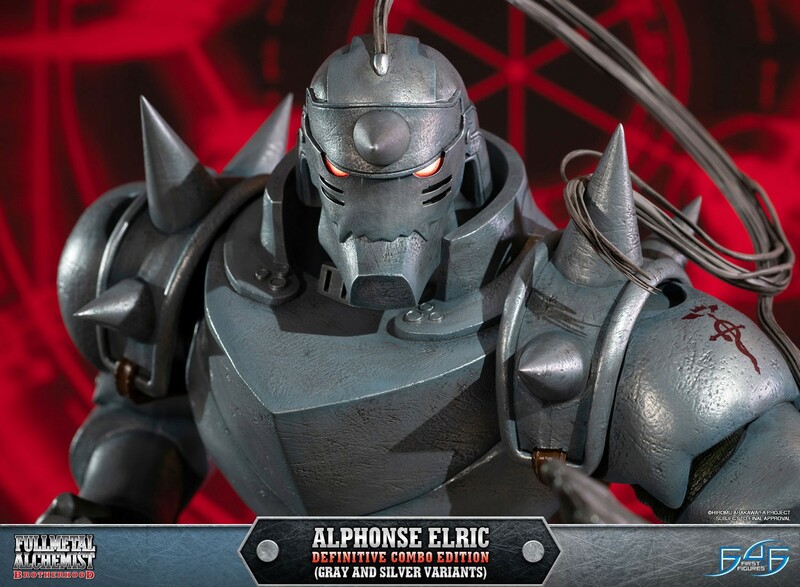 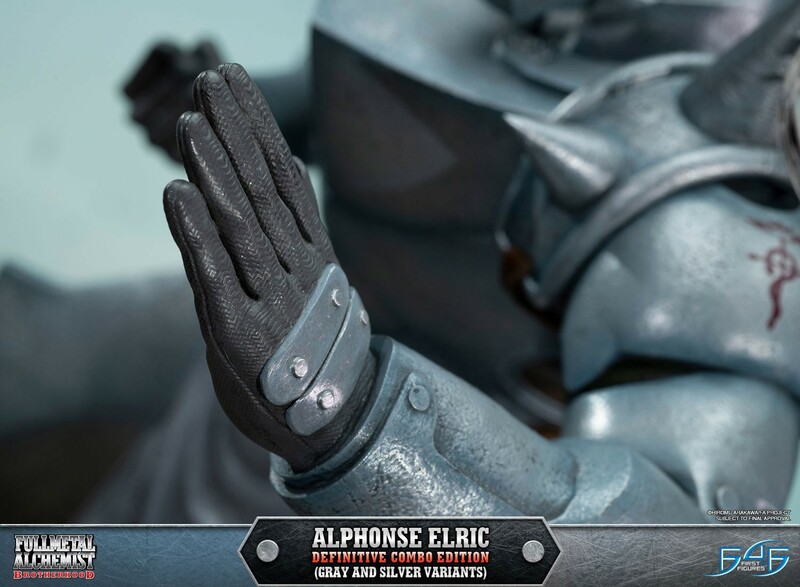 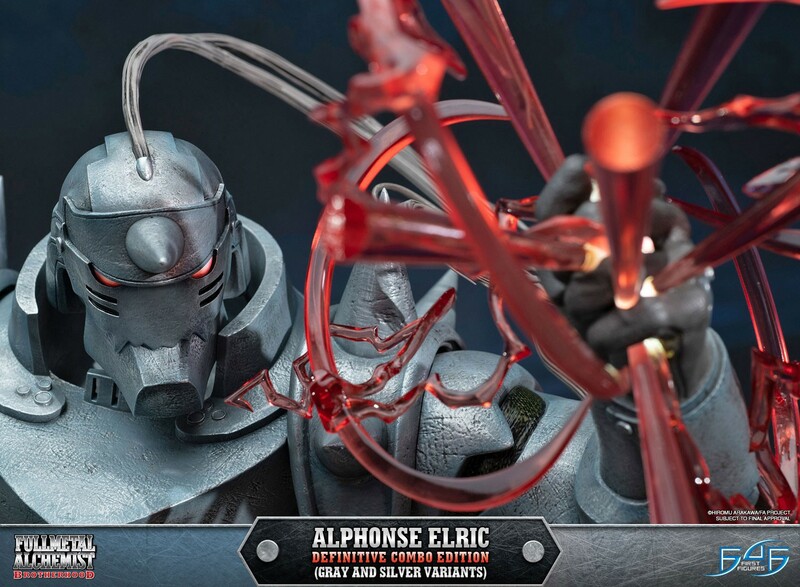 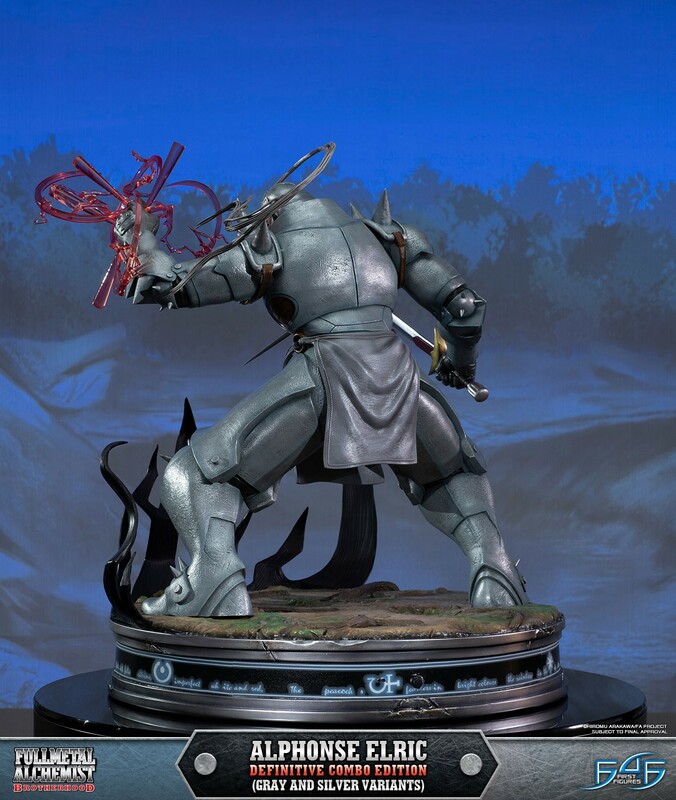 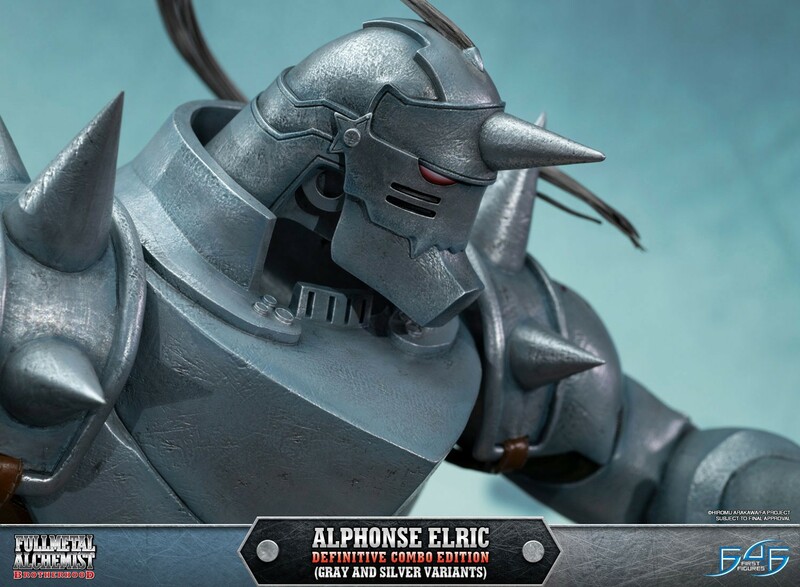 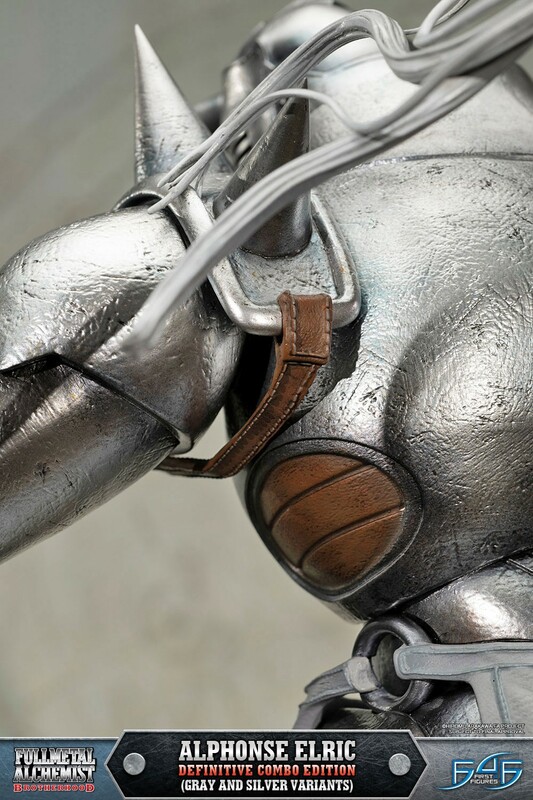 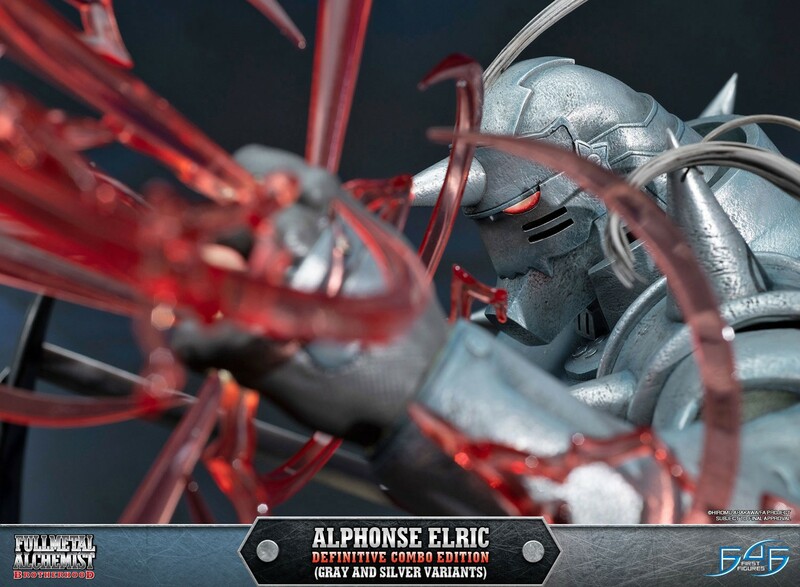 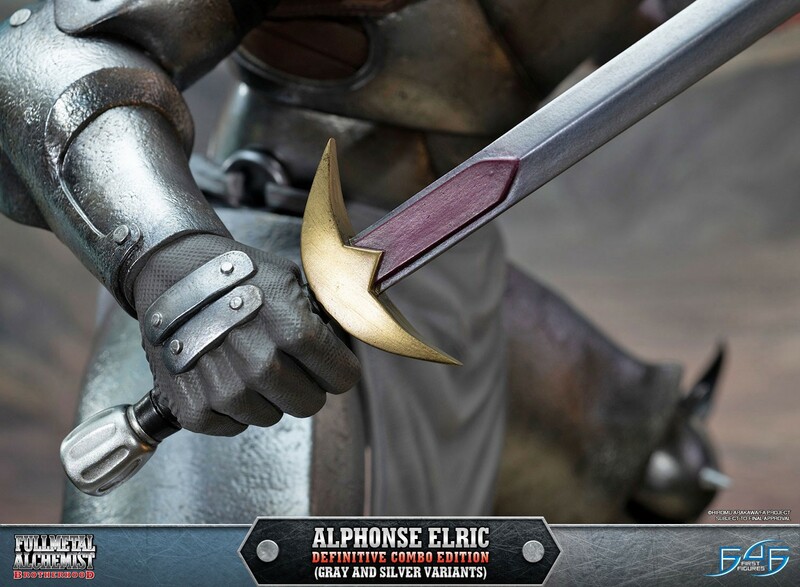 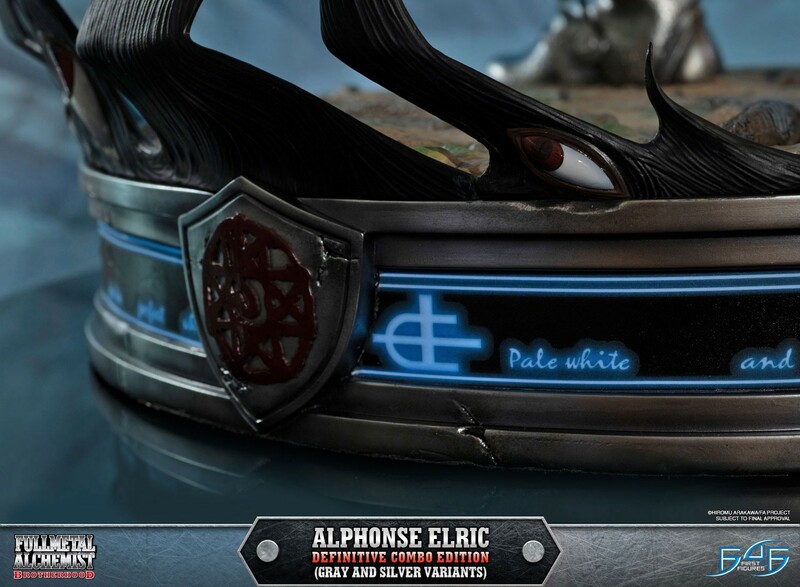 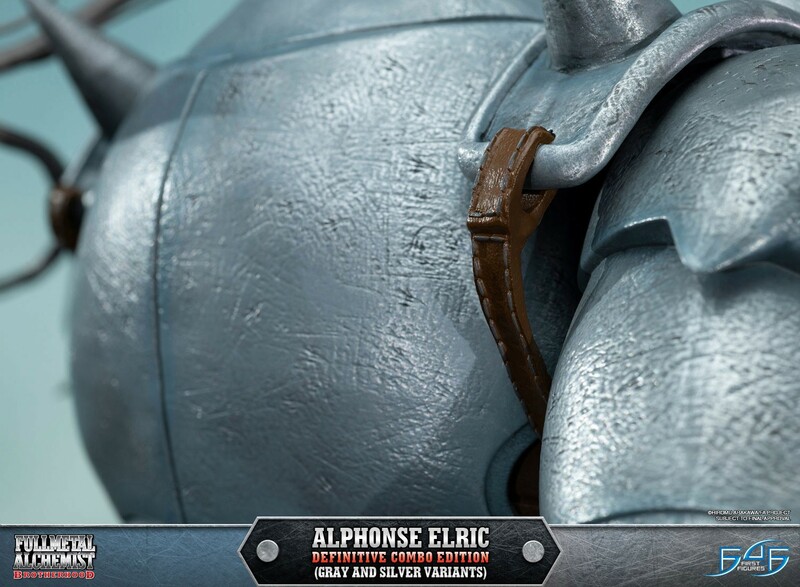 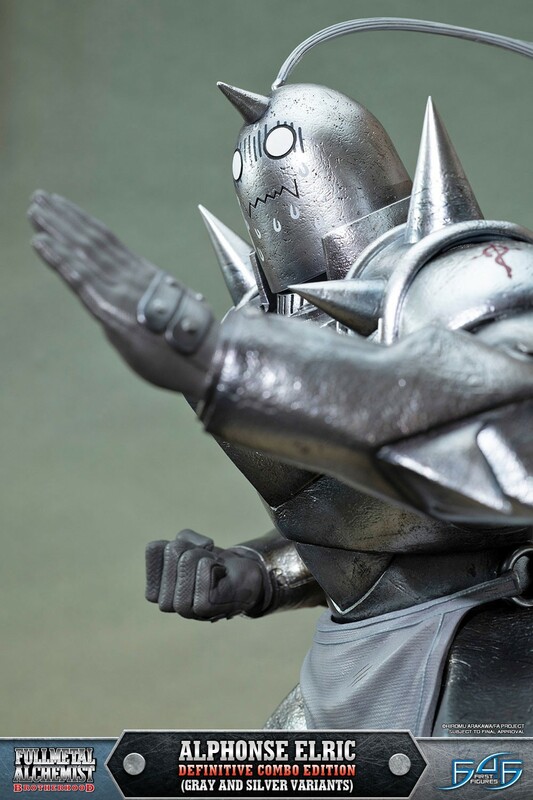 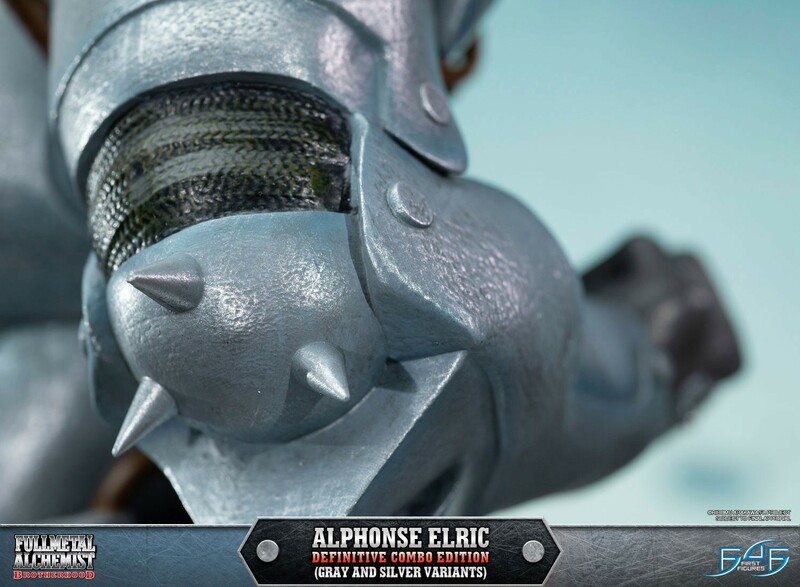 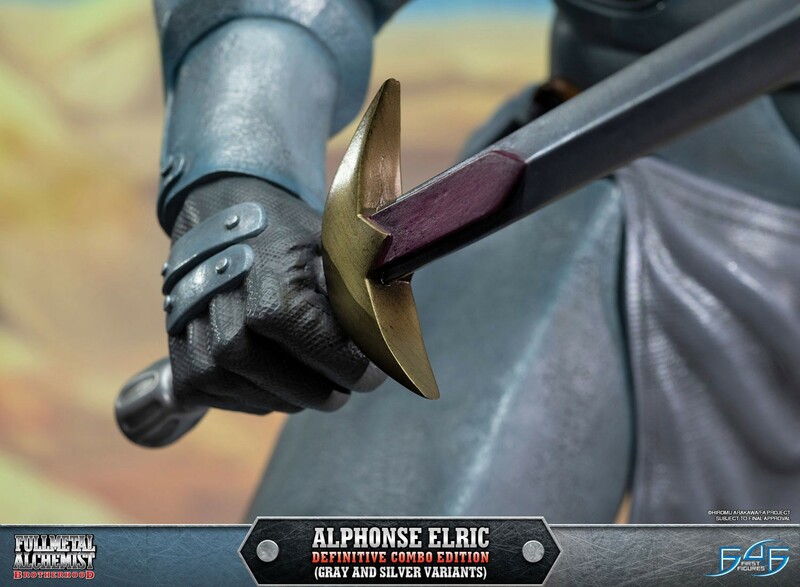 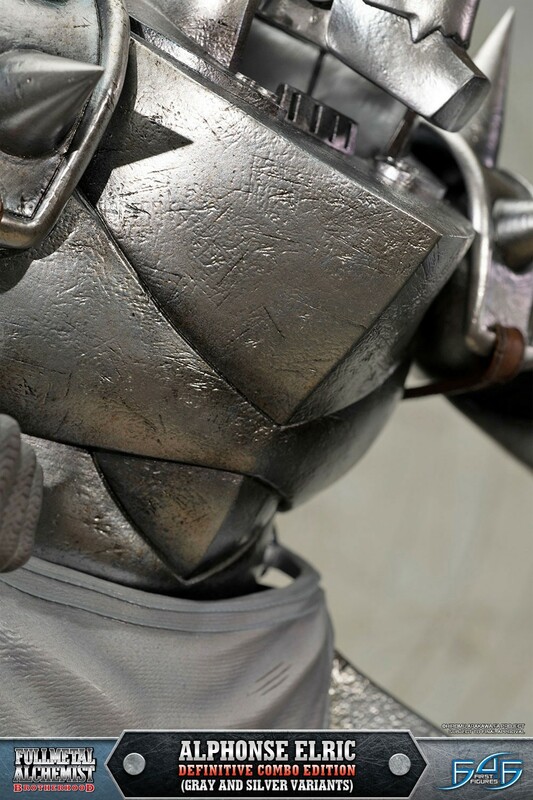 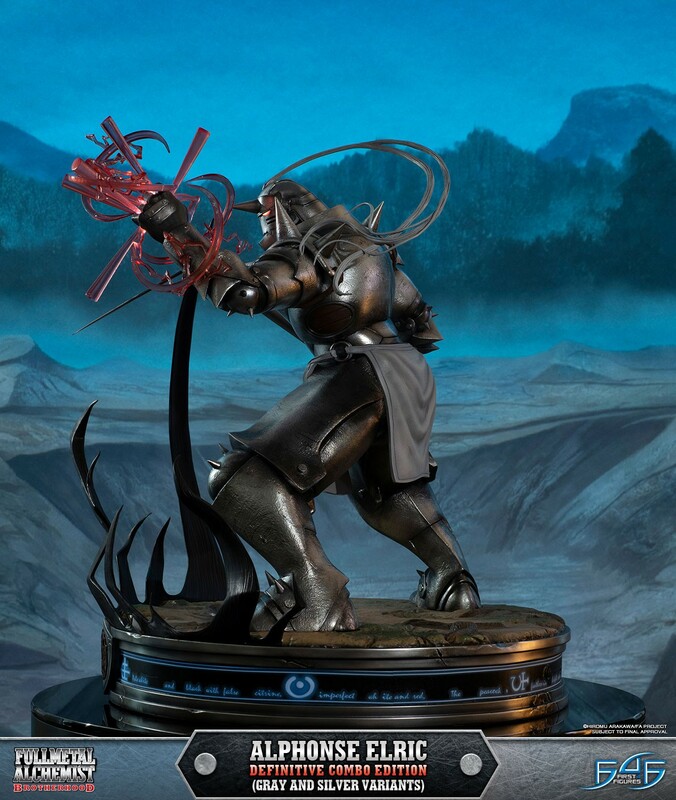 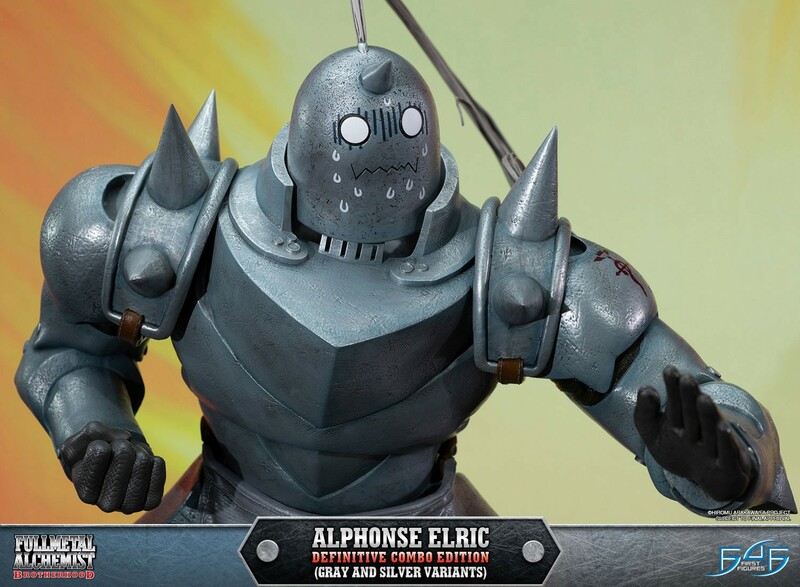 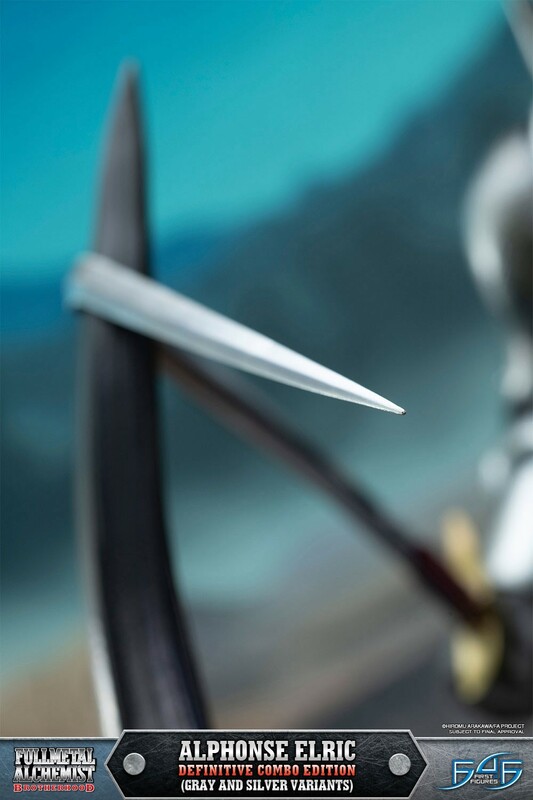 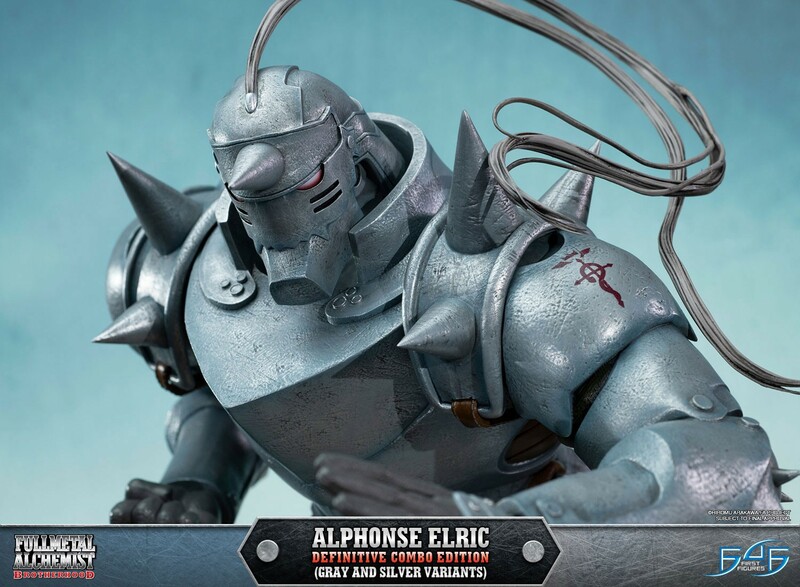 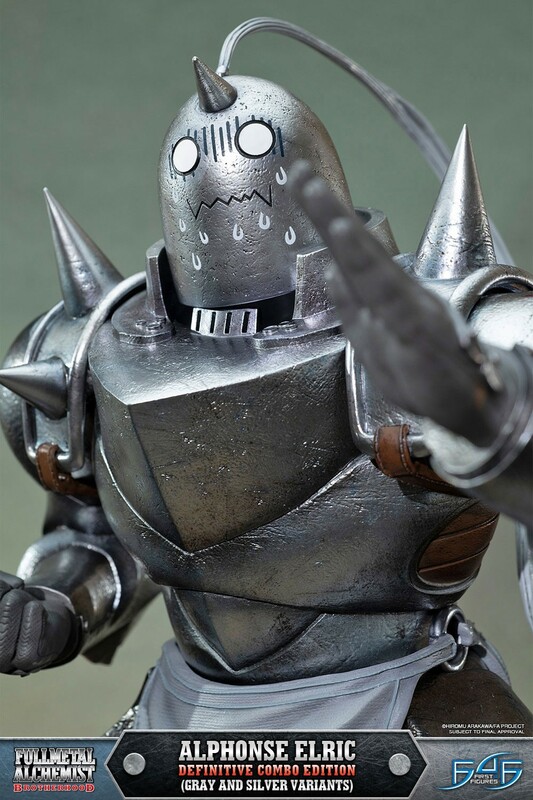 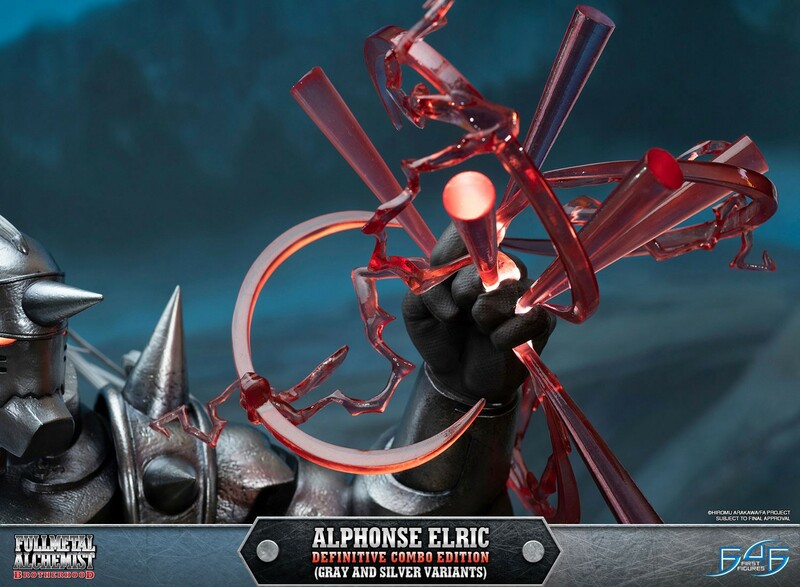 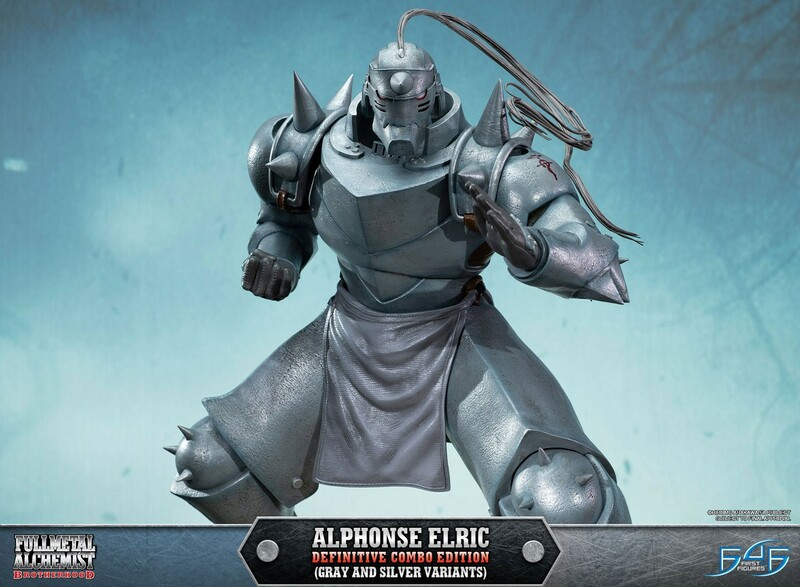 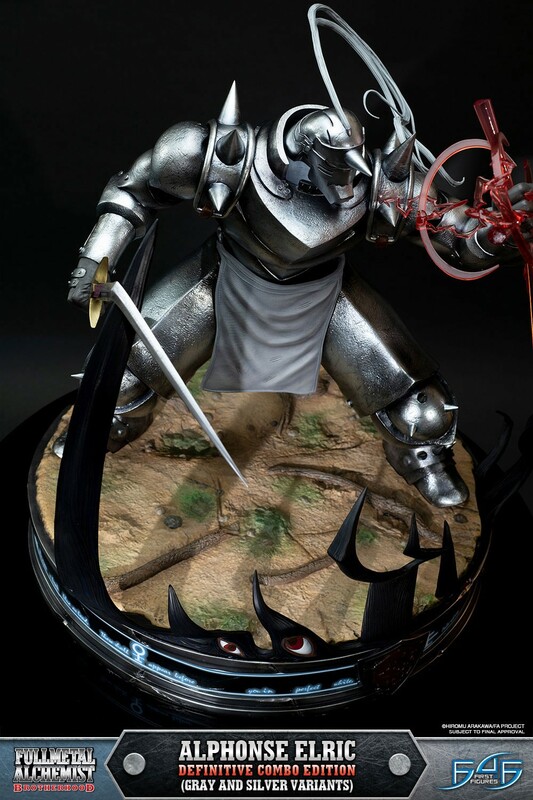 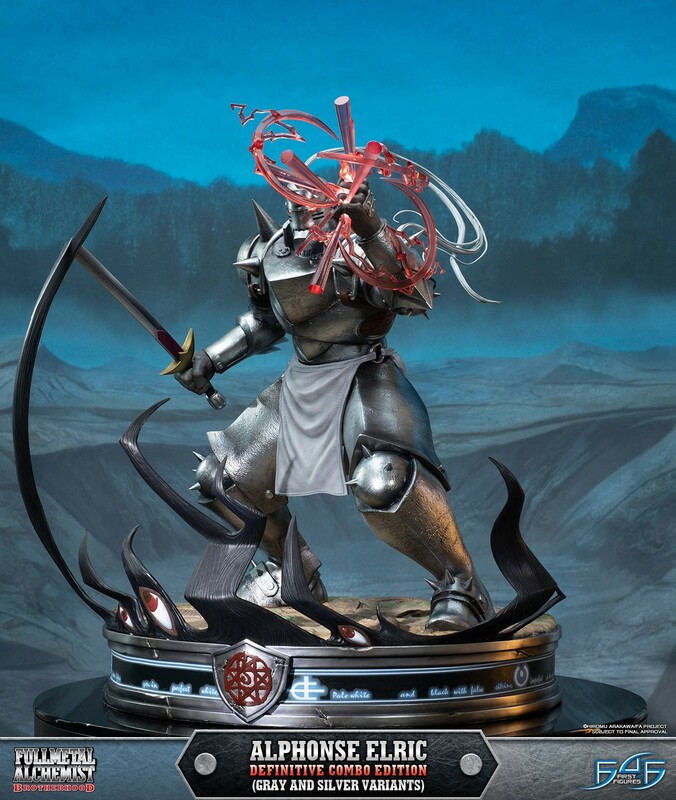 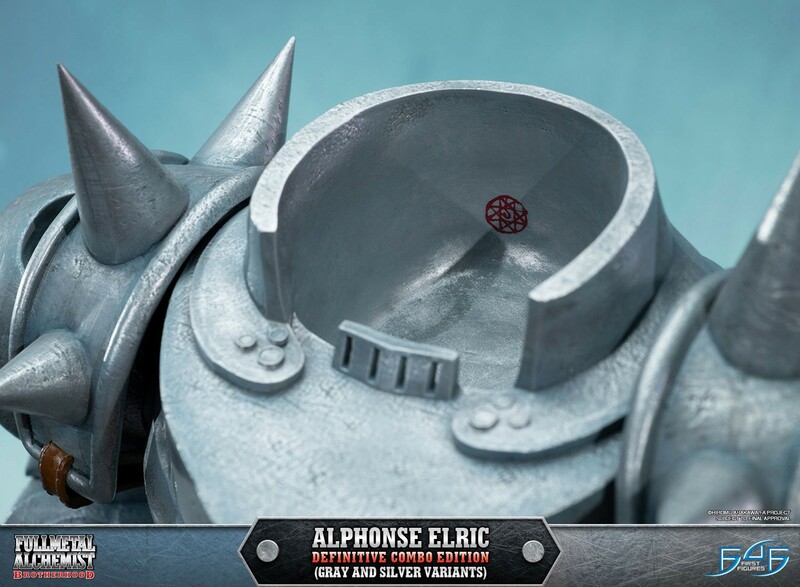 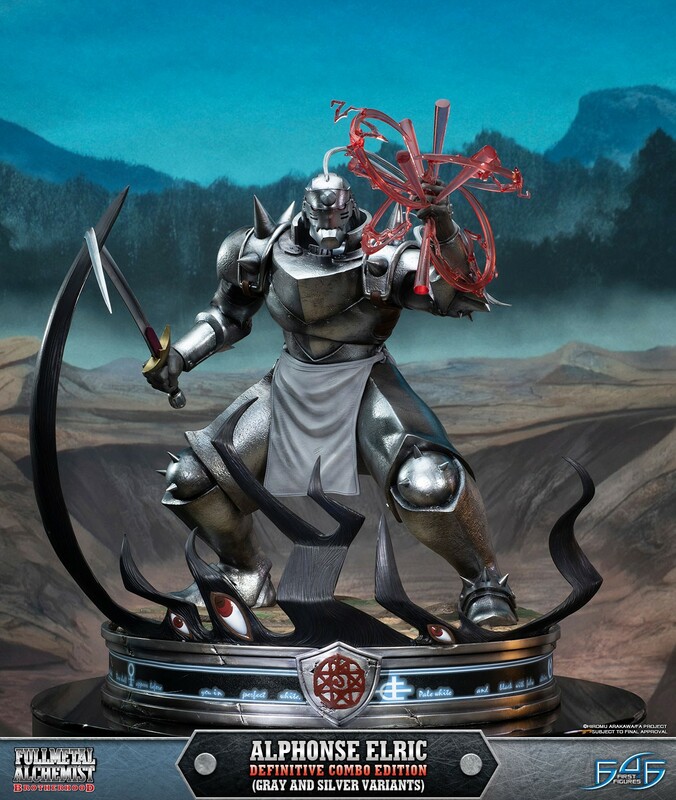 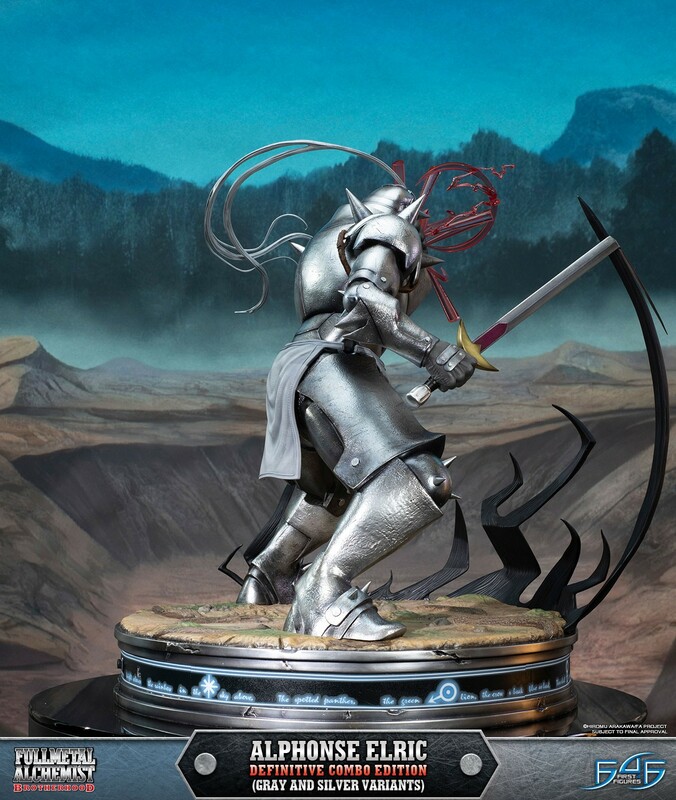 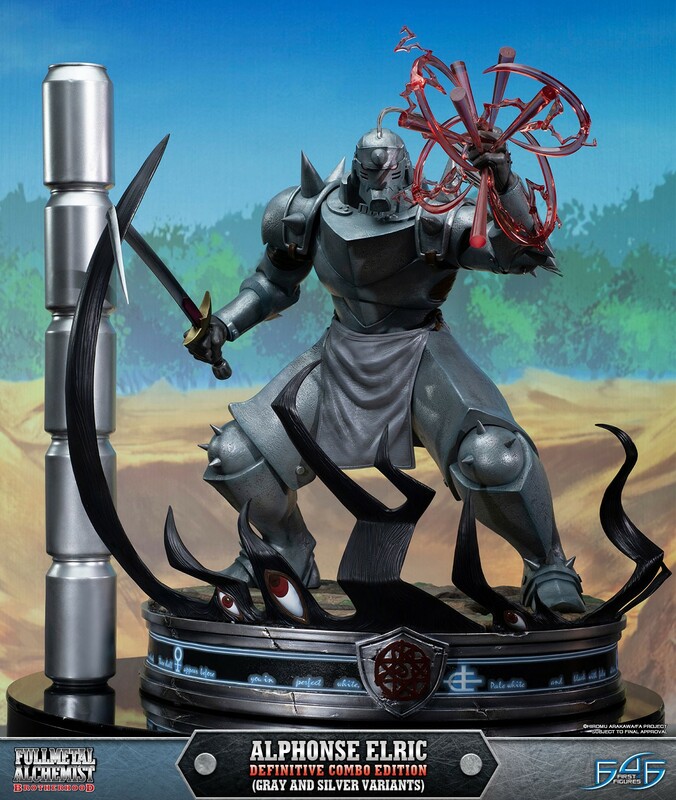 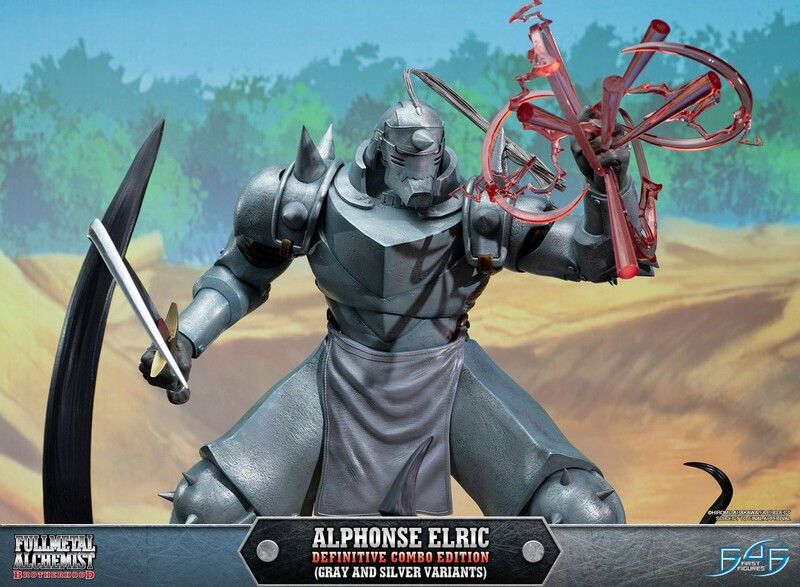 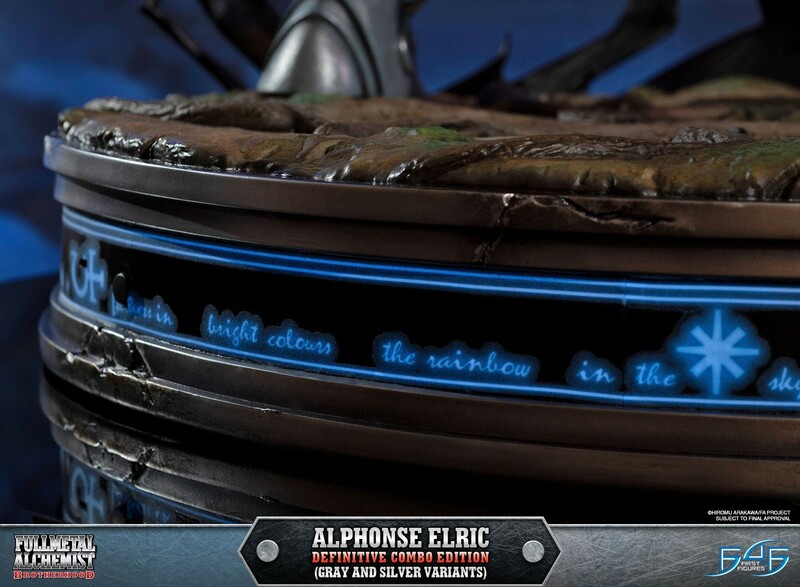 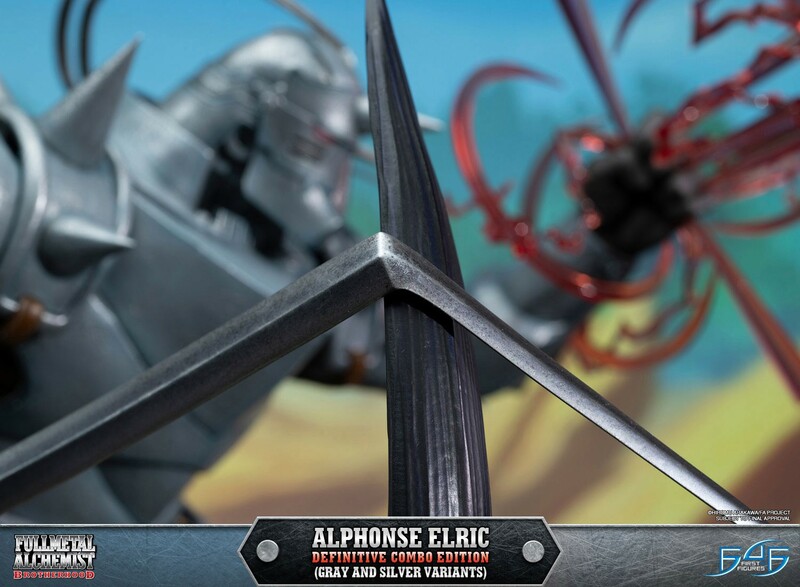 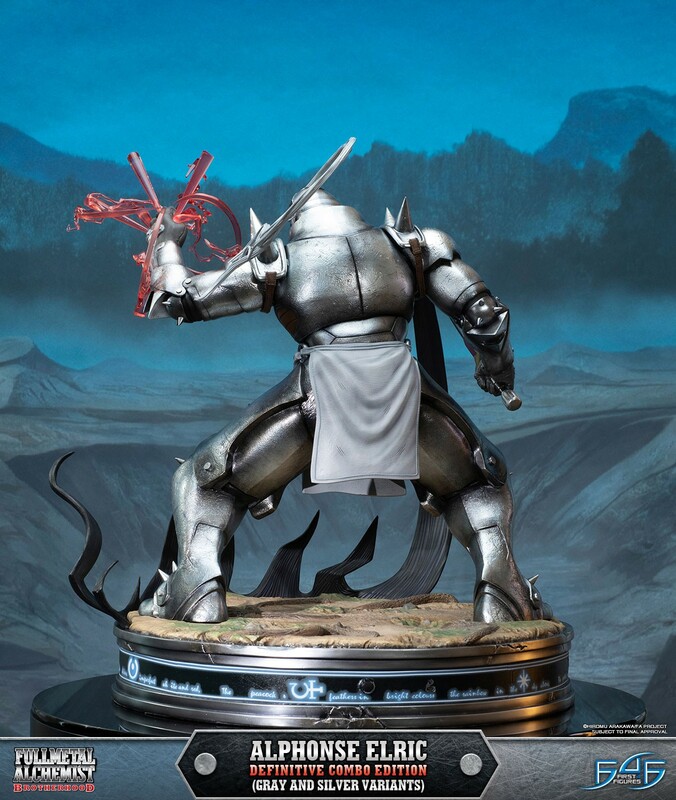 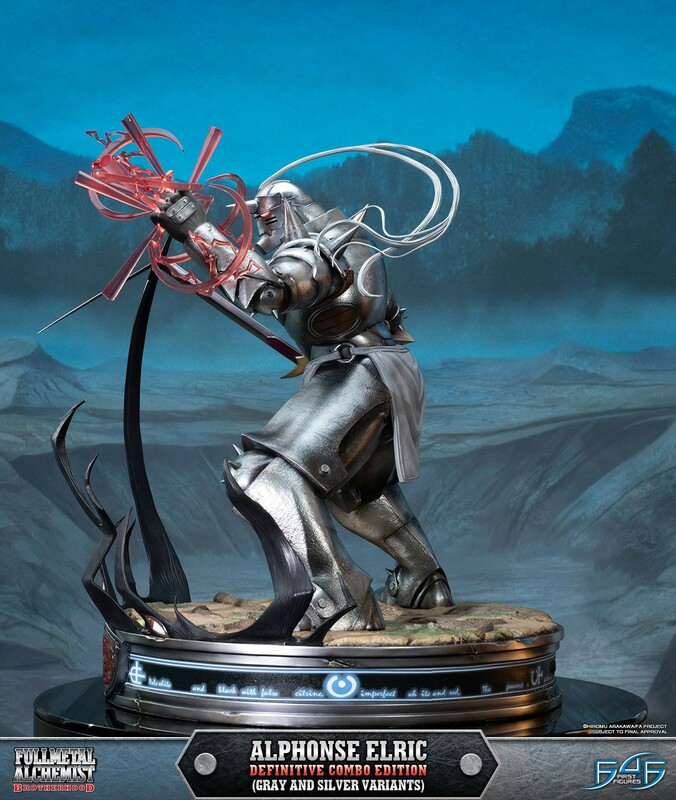 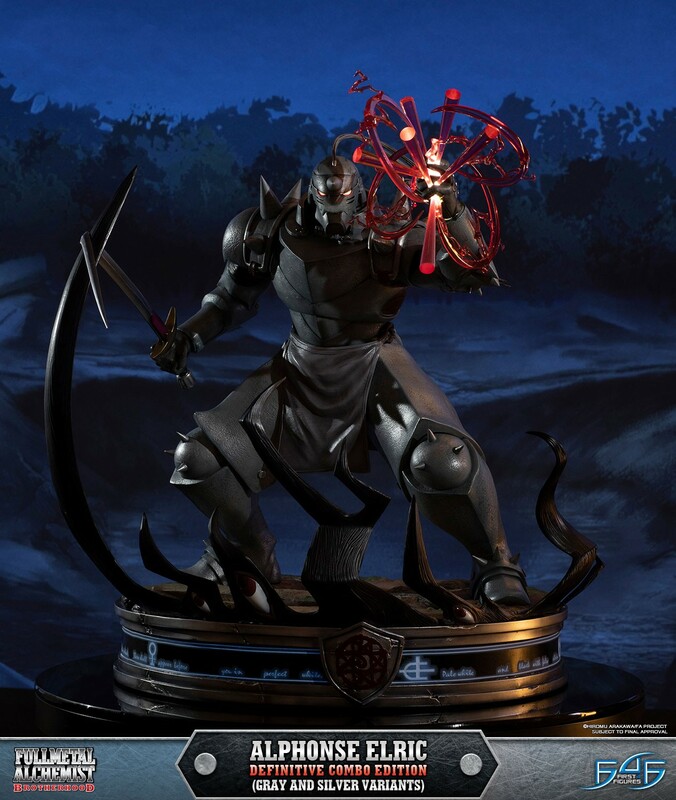 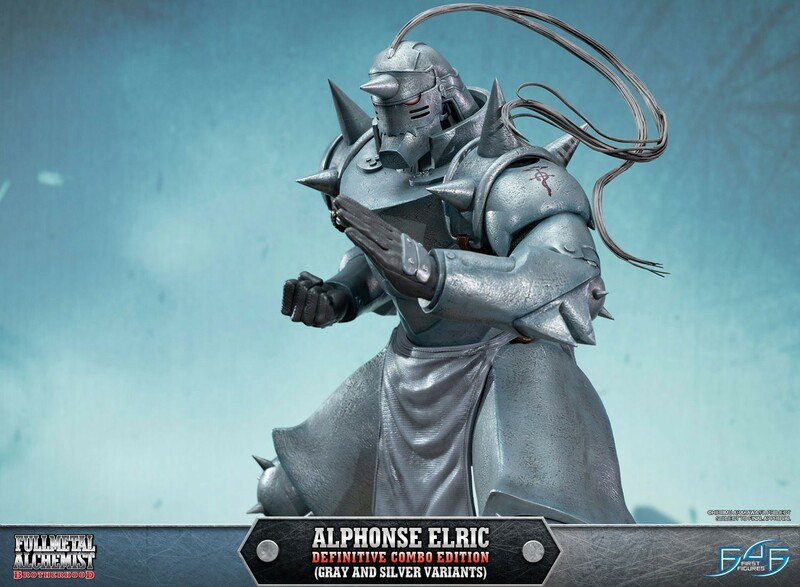 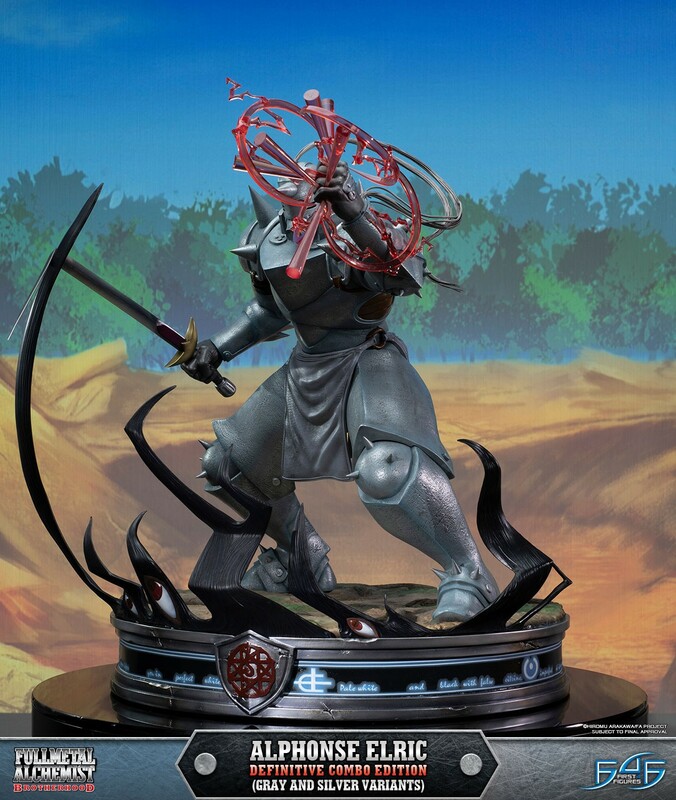 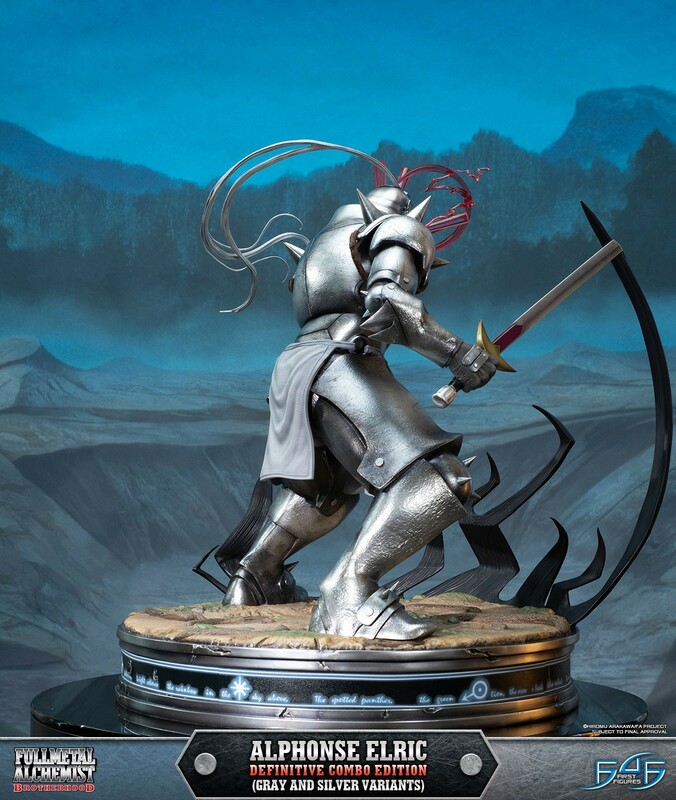 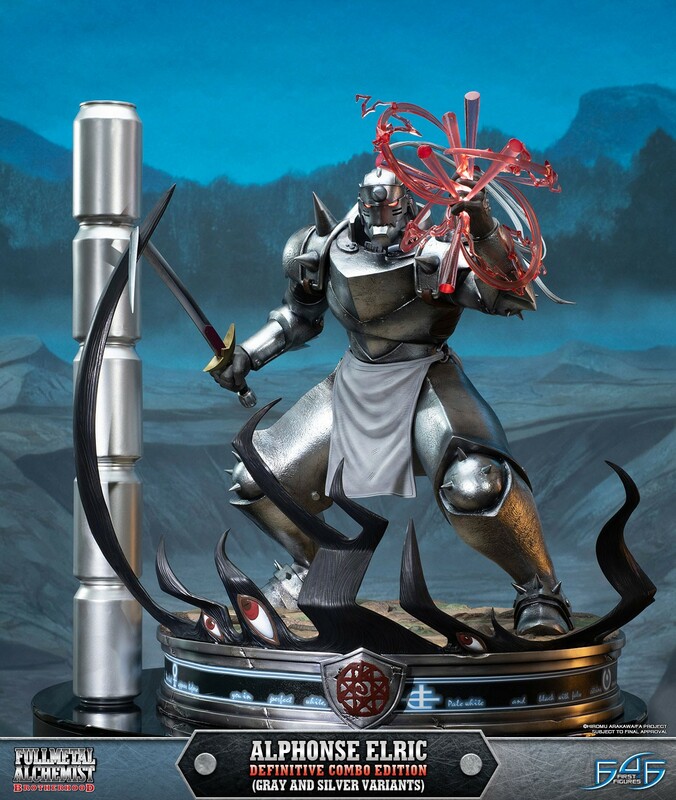 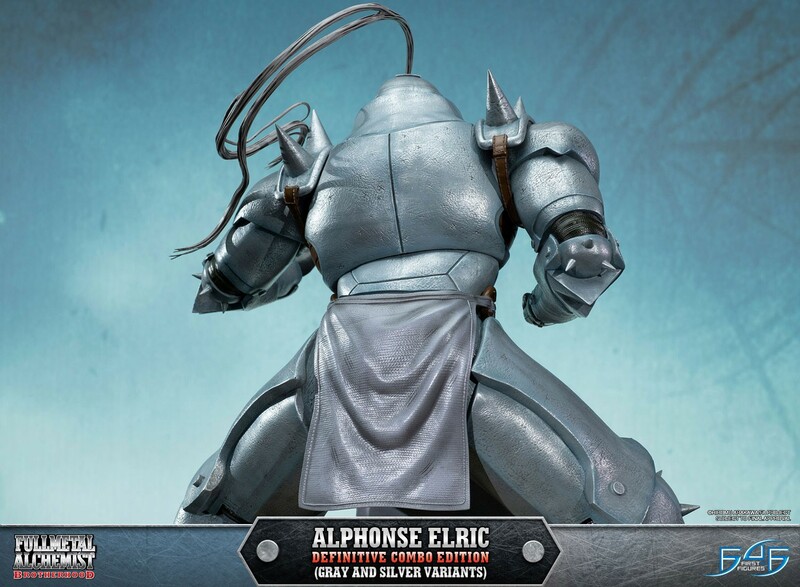 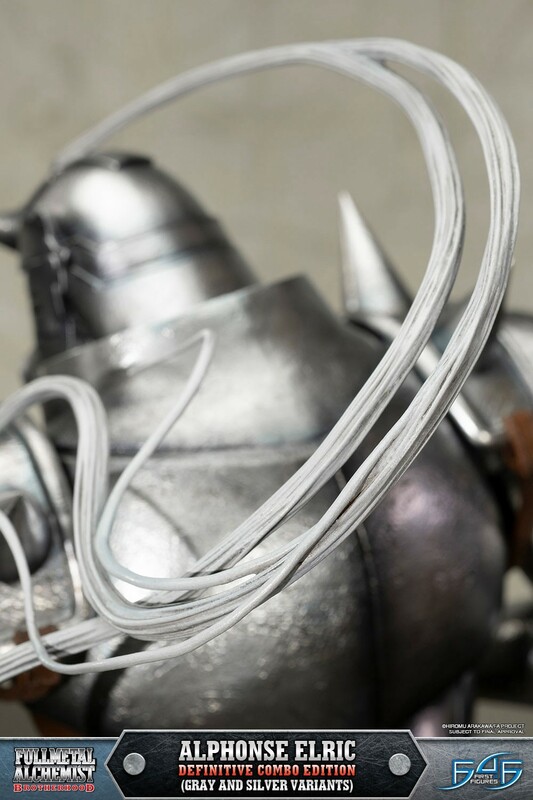 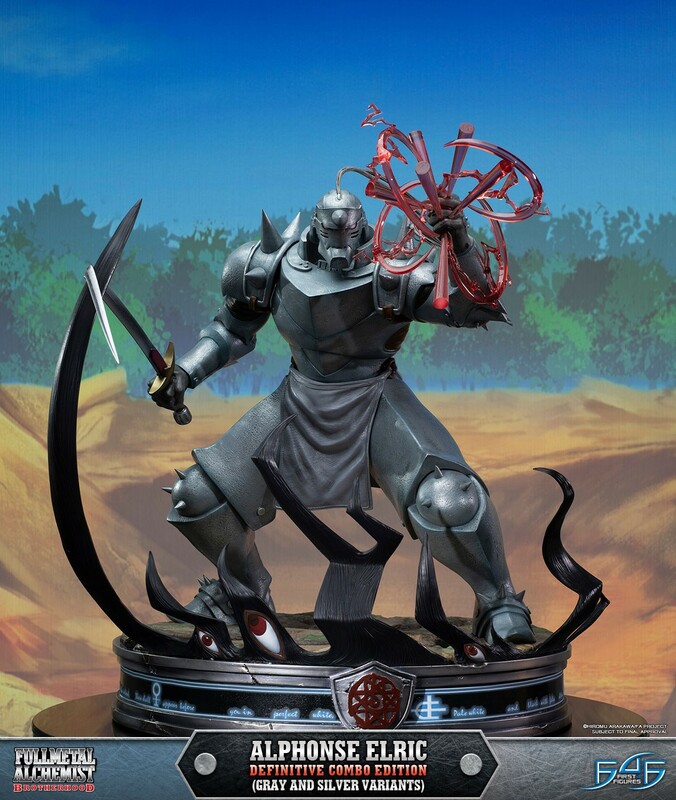 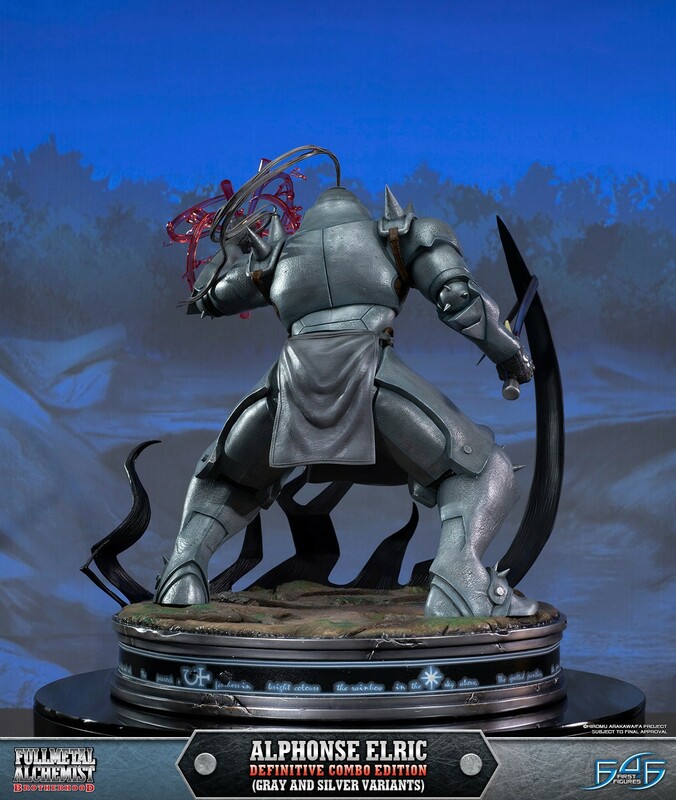 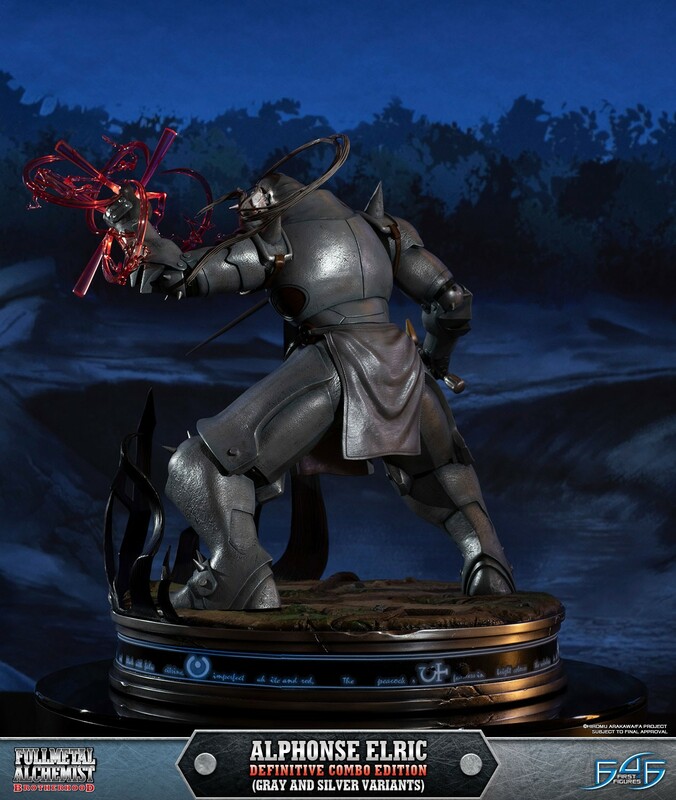 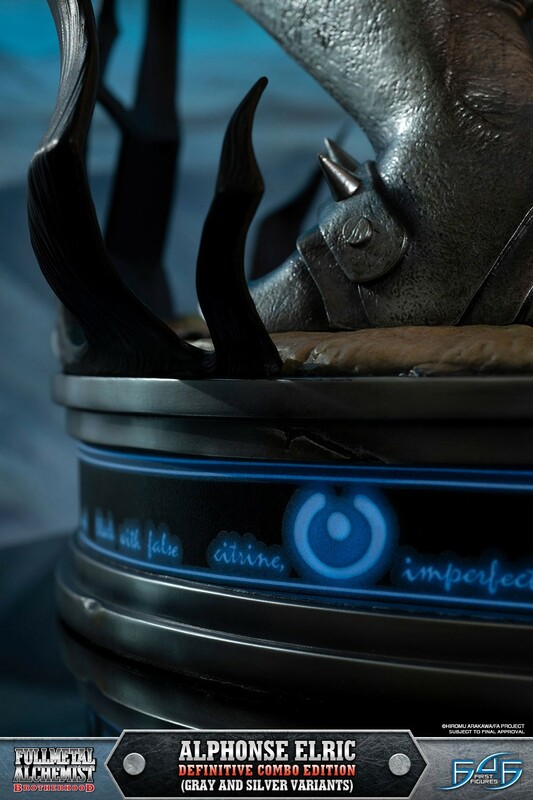 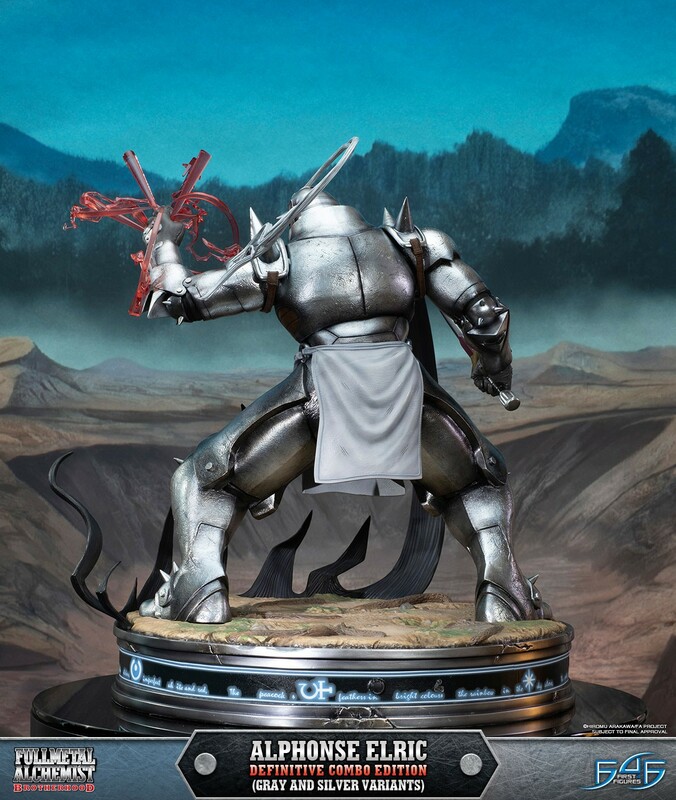 Fullmetal Alchemist Brotherhood - Alphonse Elric DEFINITIVE COMBO edition includes the Fullmetal Alchemist Brotherhood - Alphonse Elric Resin Statue DEFINITIVE (GRAY VARIANT) edition as well as the Fullmetal Alchemist Brotherhood - Alphonse Elric Resin Statue DEFINITIVE (SILVER VARIANT) edition for the Ultimate Fullmetal Alchemist Brotherhood fan. 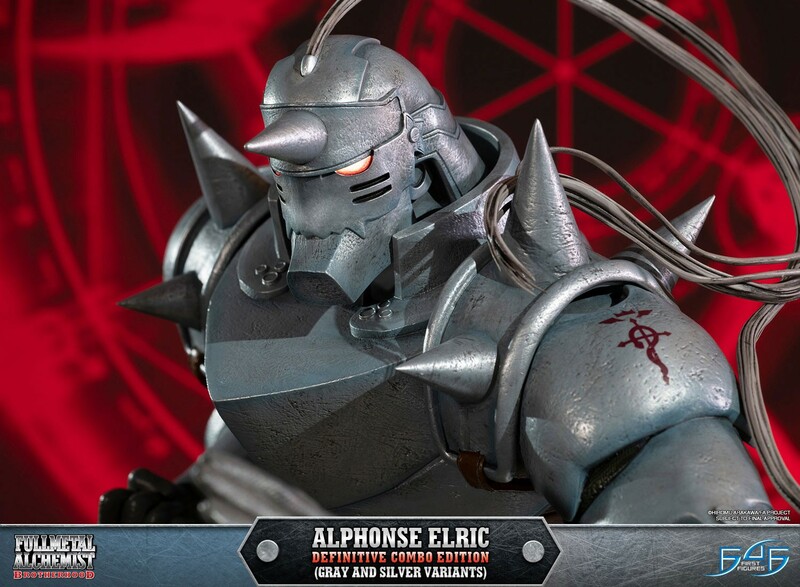 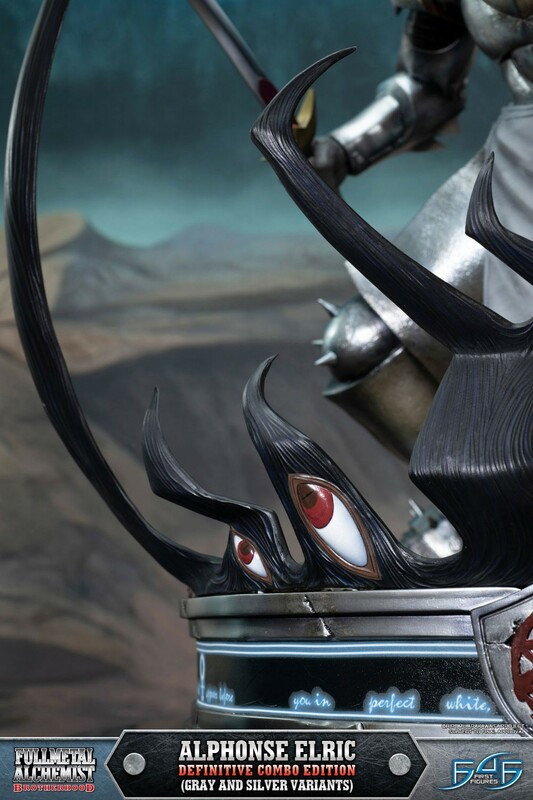 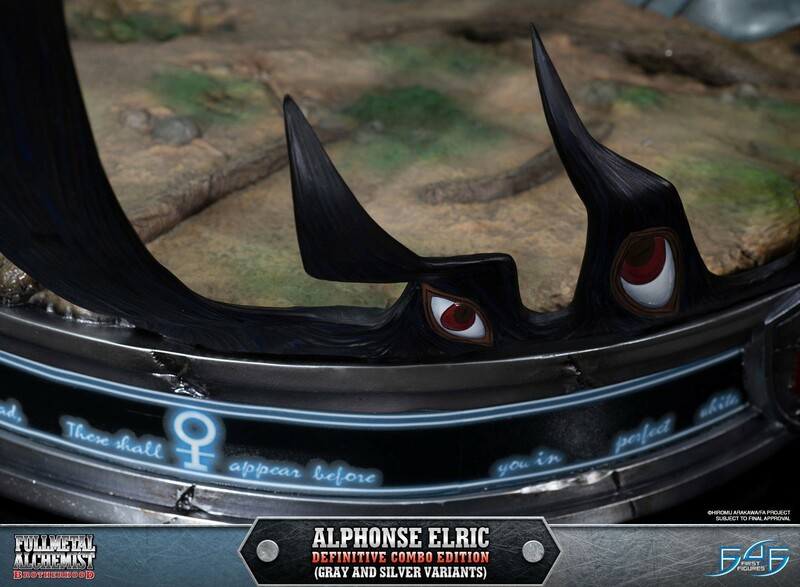 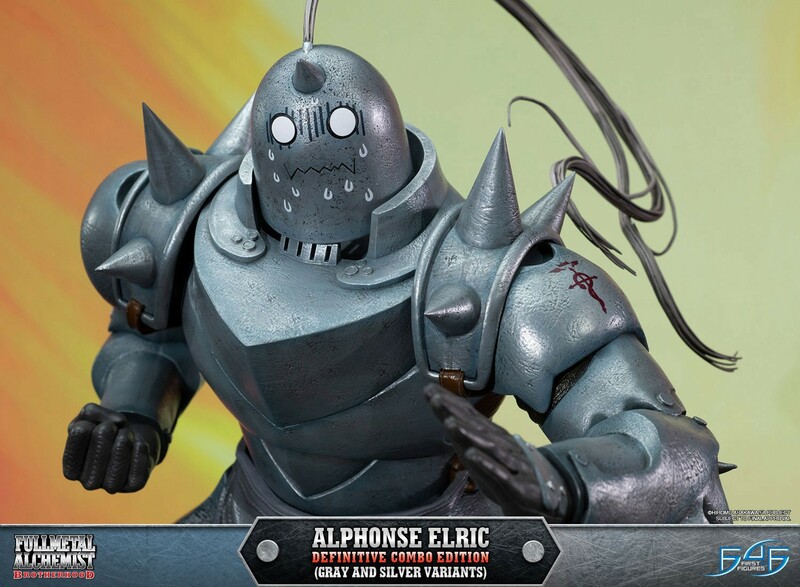 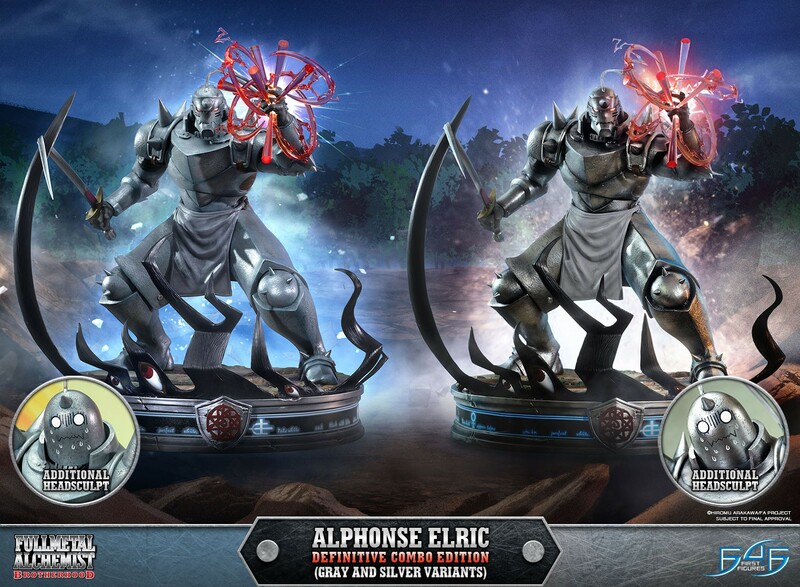 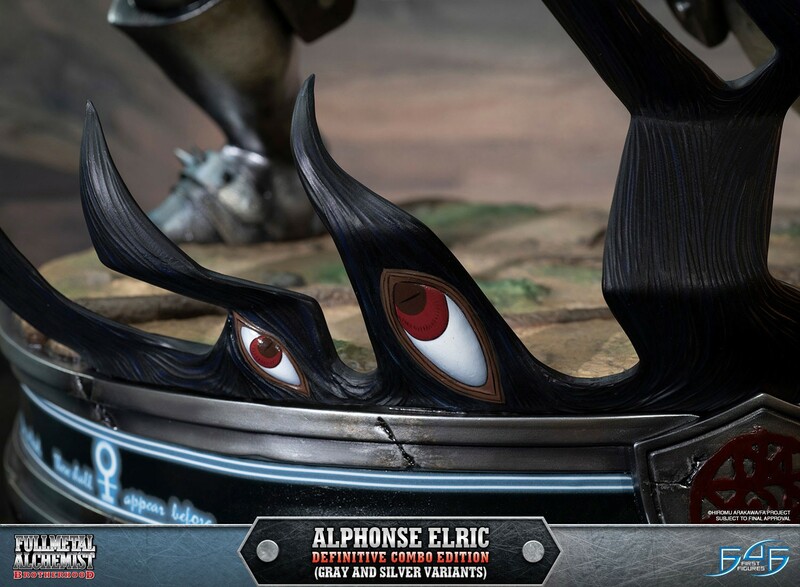 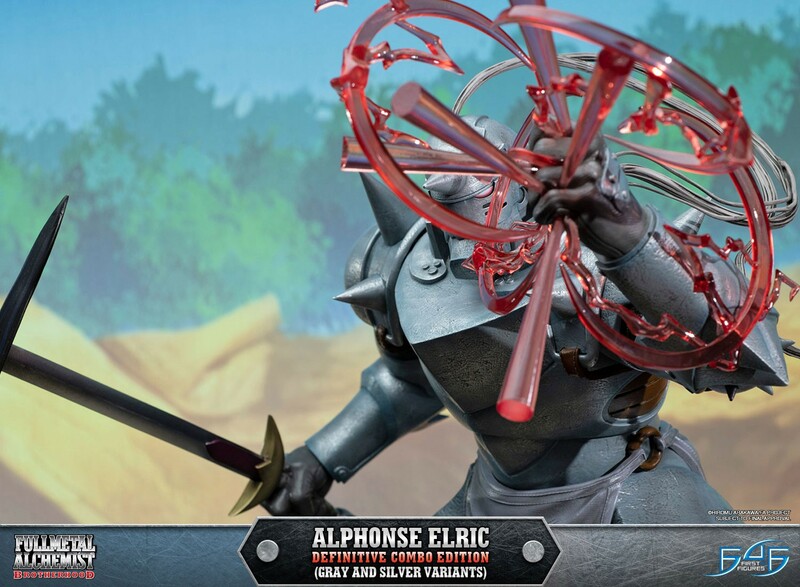 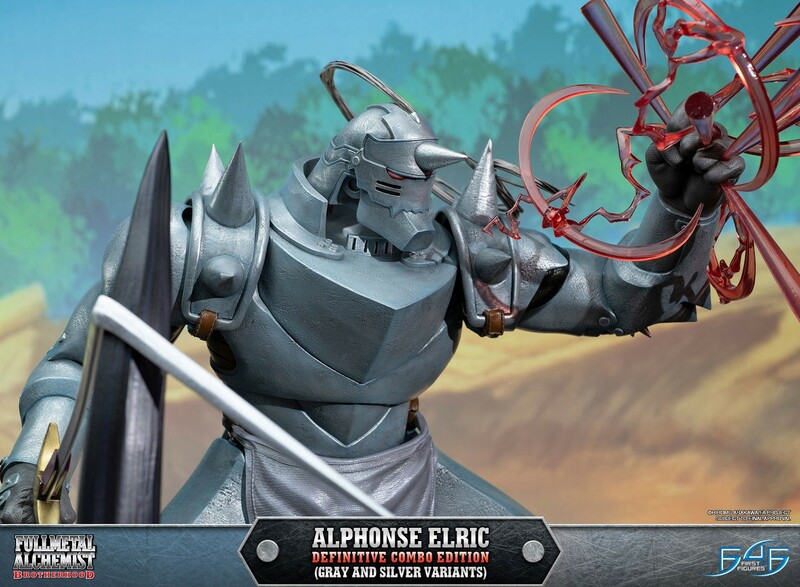 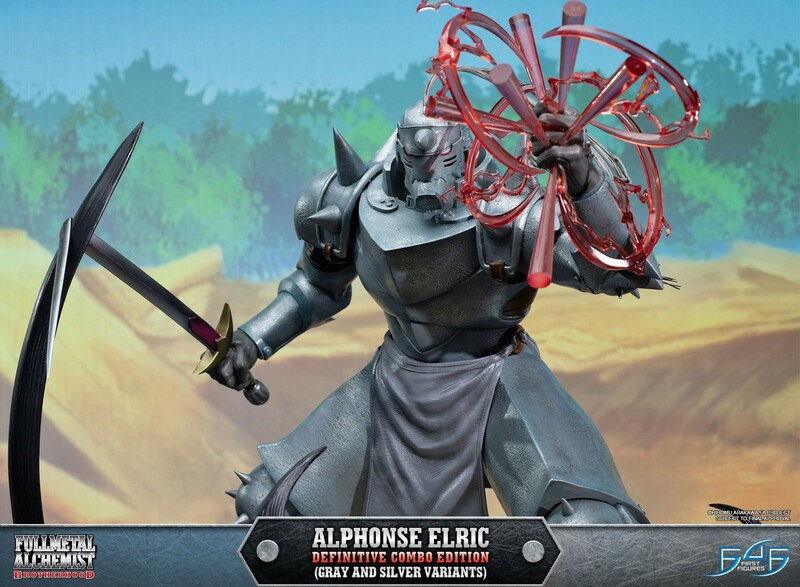 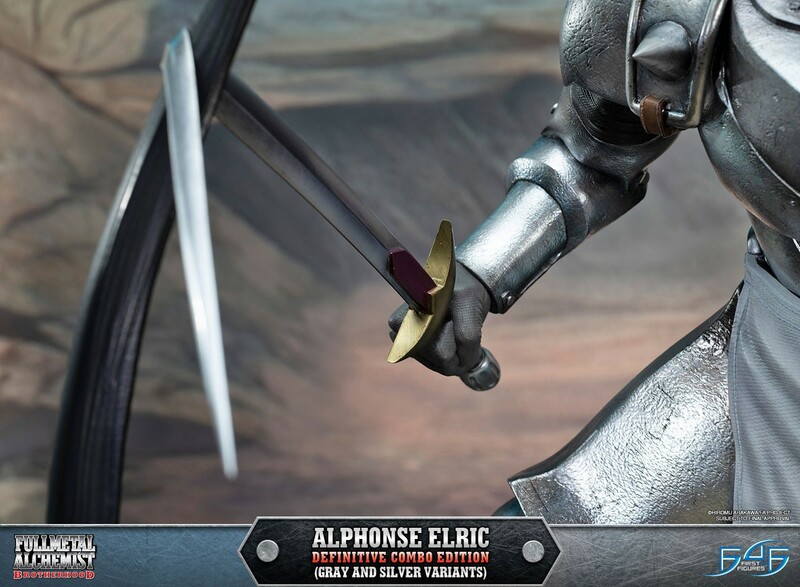 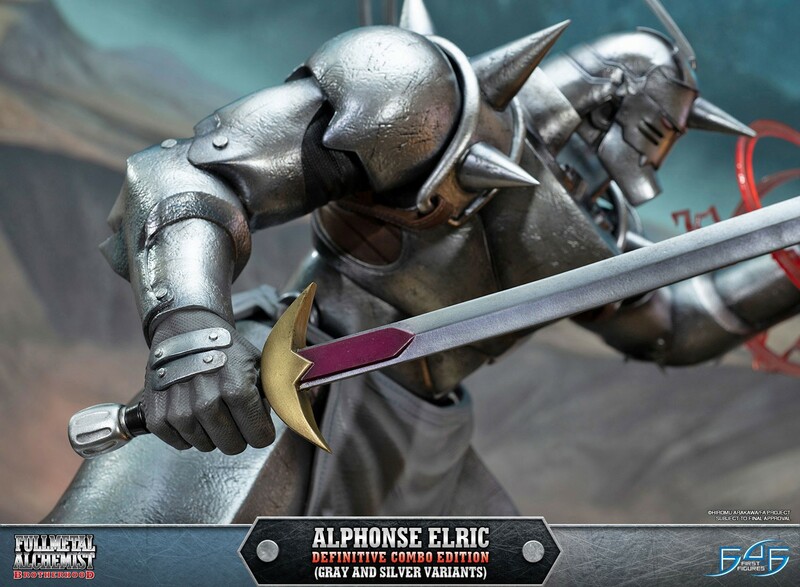 Purchasing the Fullmetal Alchemist Brotherhood - Alphonse Elric DEFINITIVE COMBO (GRAY VARIANT AND SILVER VARIANT) edition at anytime during Day One after the launch starts (24 hours) will entitle you to the following extra free bonuses.